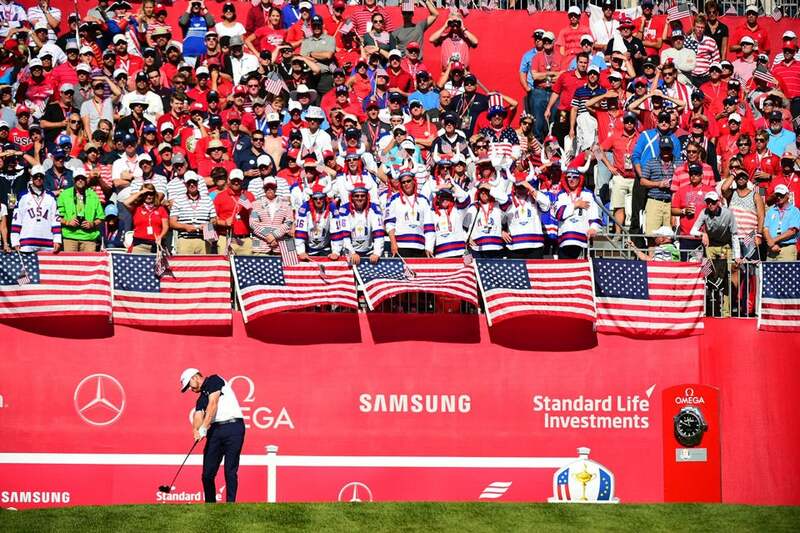 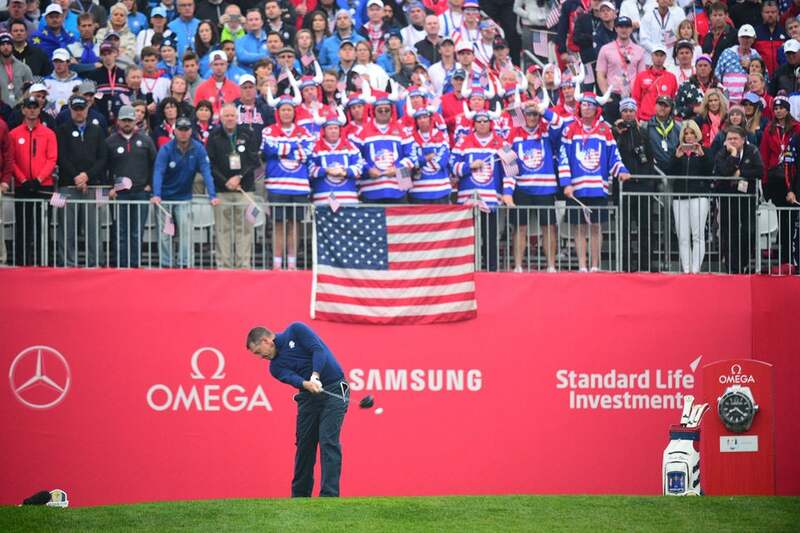 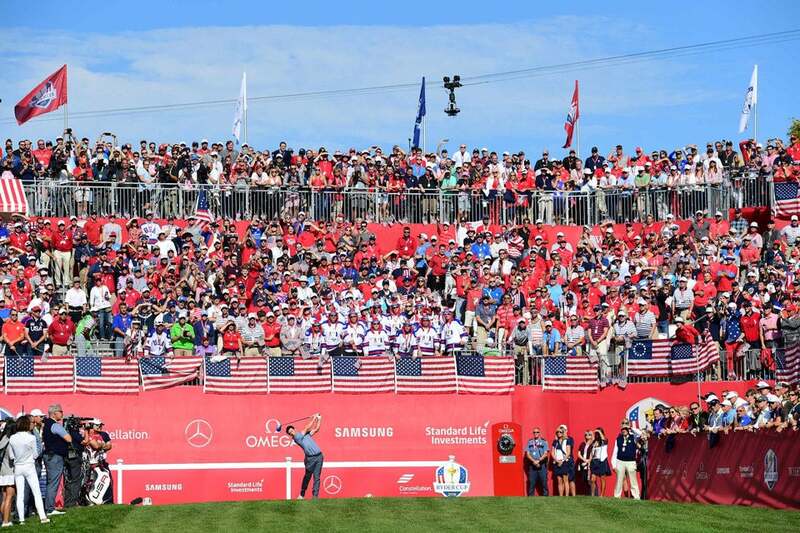 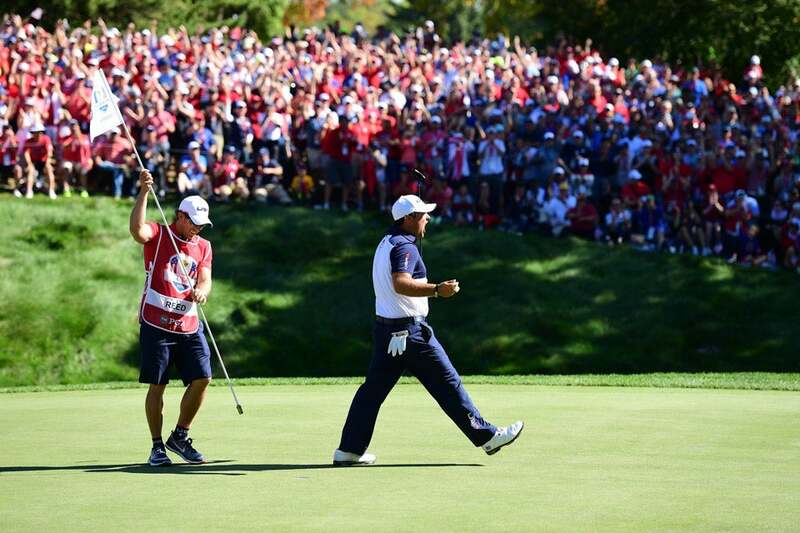 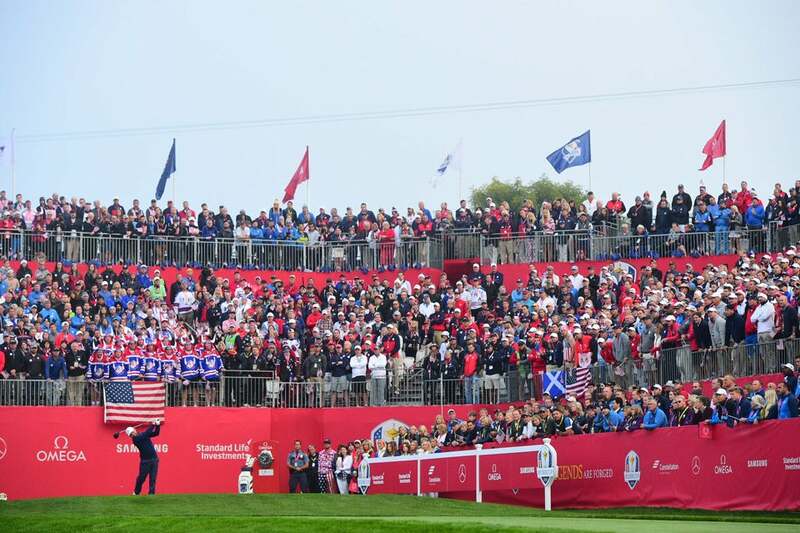 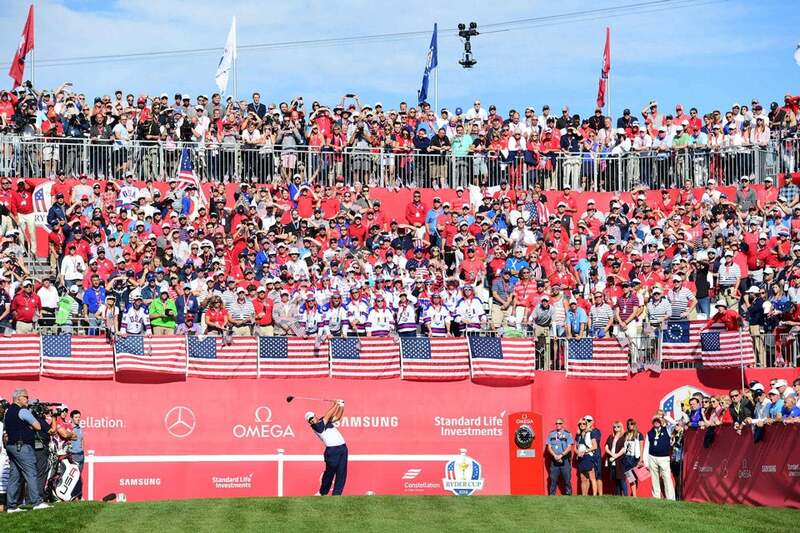 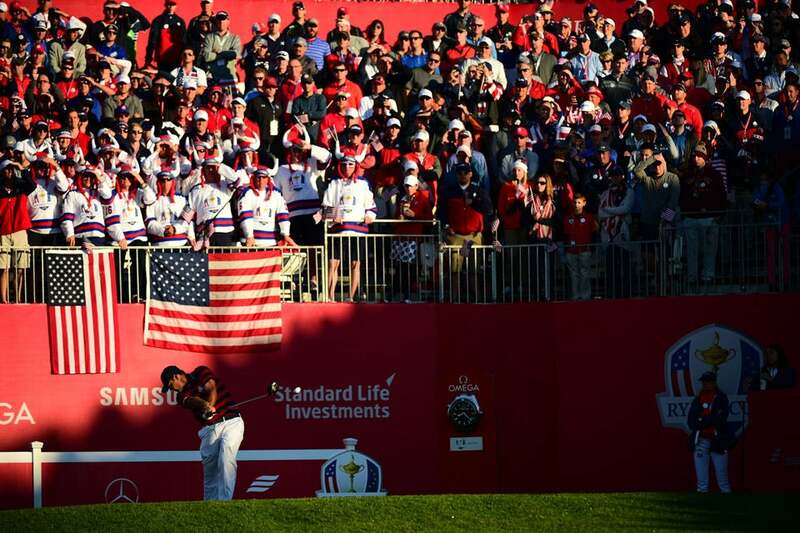 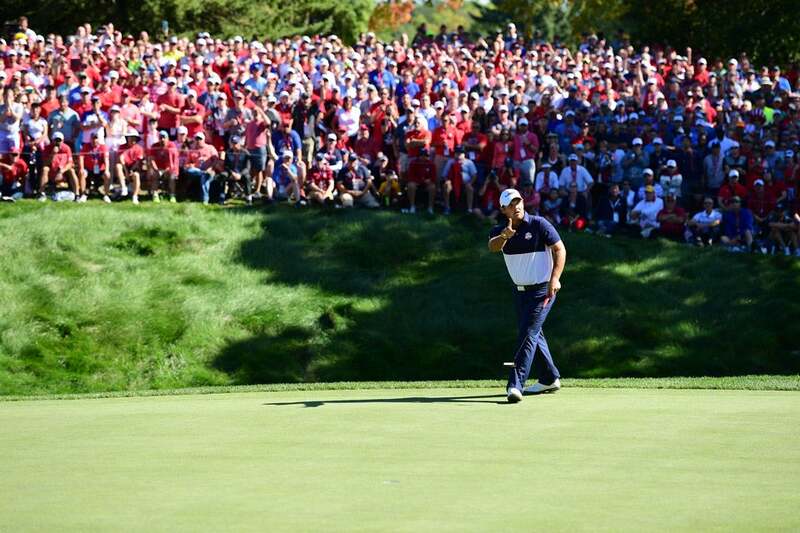 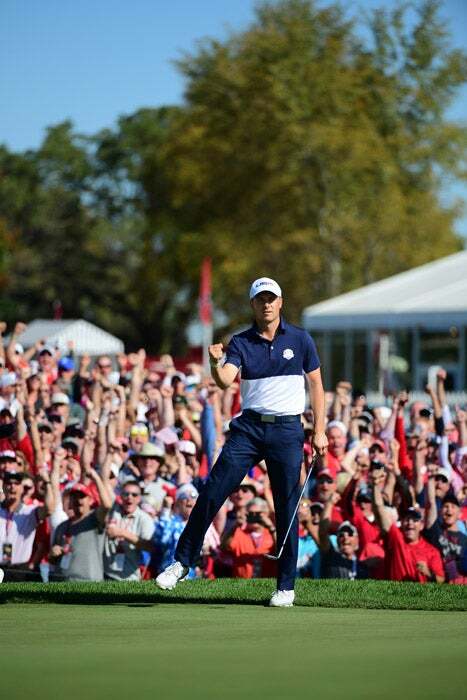 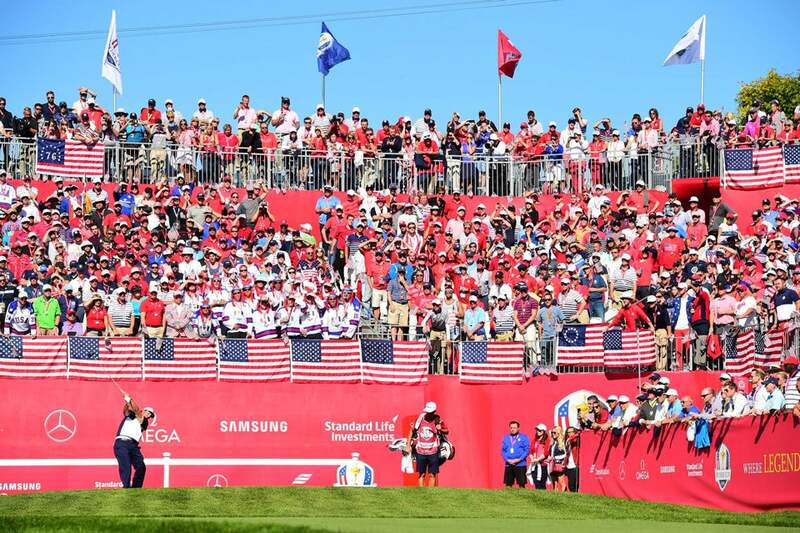 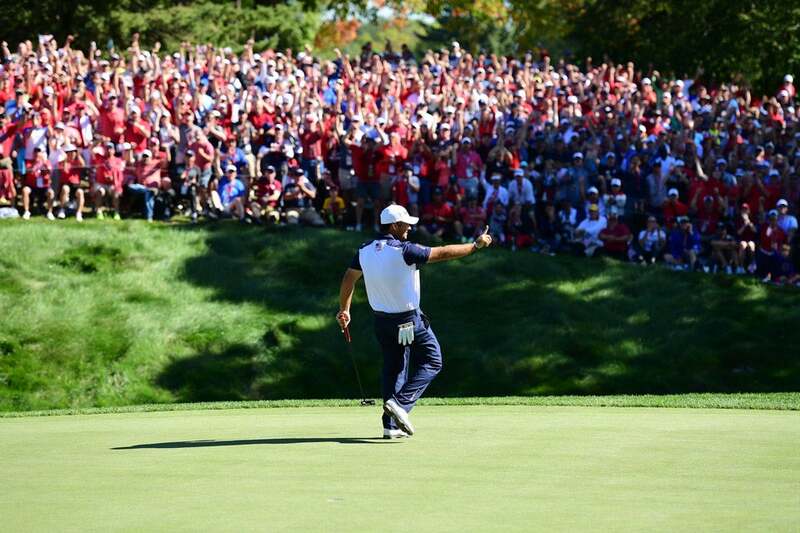 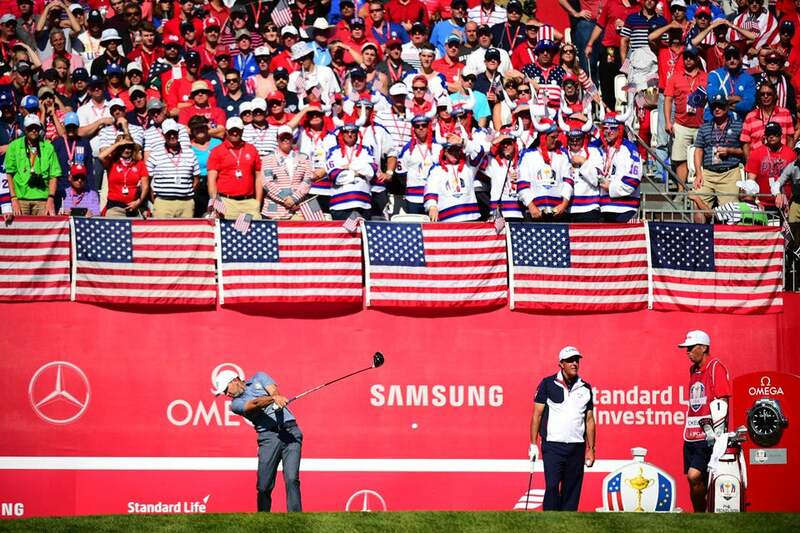 Patrick Reed defeated Rory McIlroy in an epic match to earn the first point of the day for the Americans. 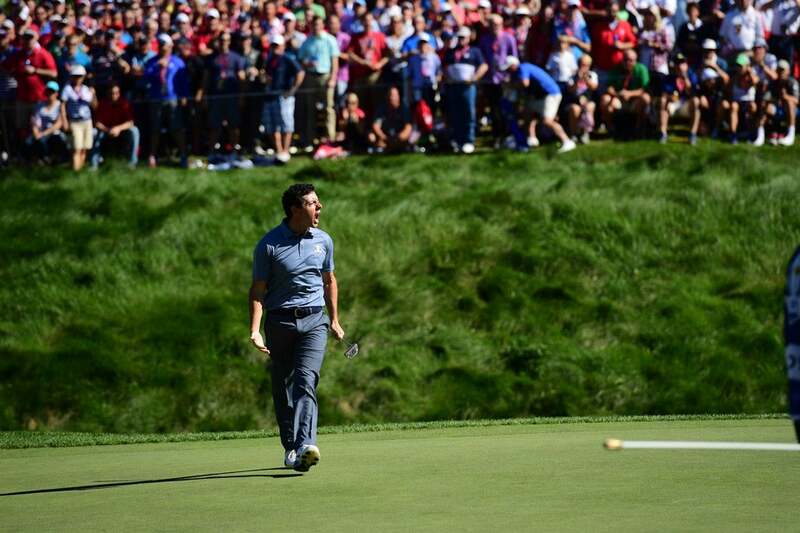 Rory McIlroy and Patrick Reed traded incredible putts at the 8th hole. 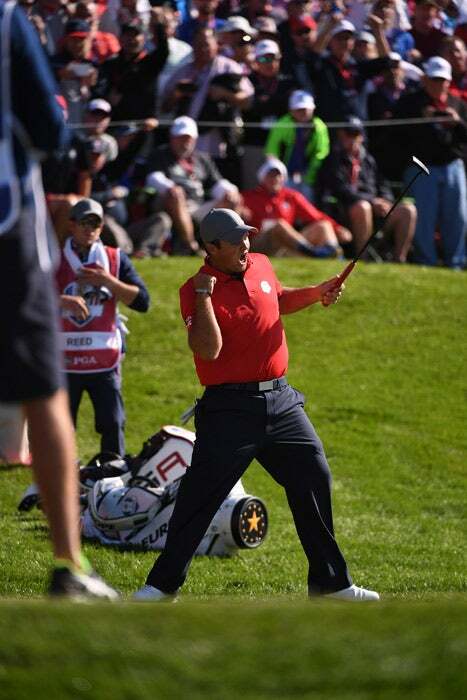 Patrick Reed after sinking his own big putt at the 8th. 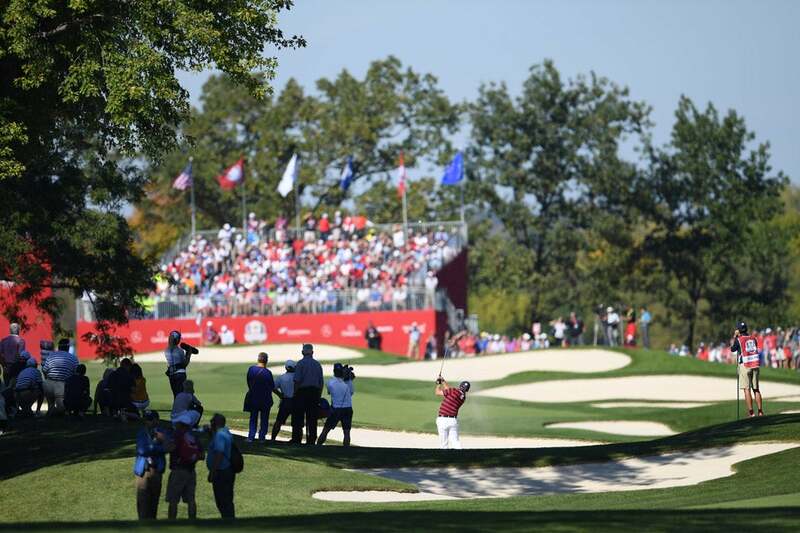 Davis Love III on the course Sunday. 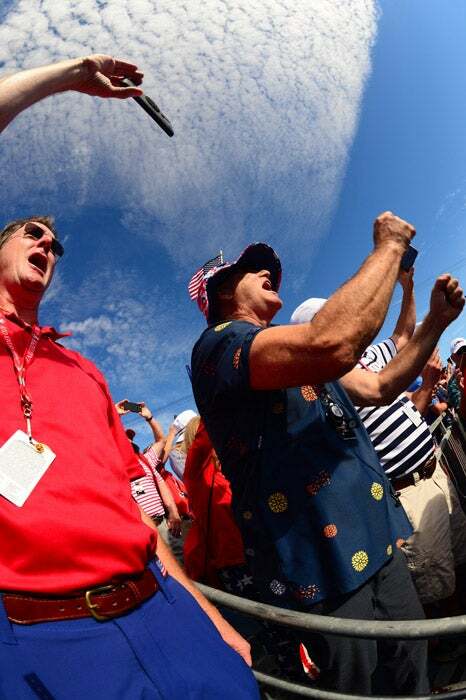 Actor Bill Murray on the course Sunday. 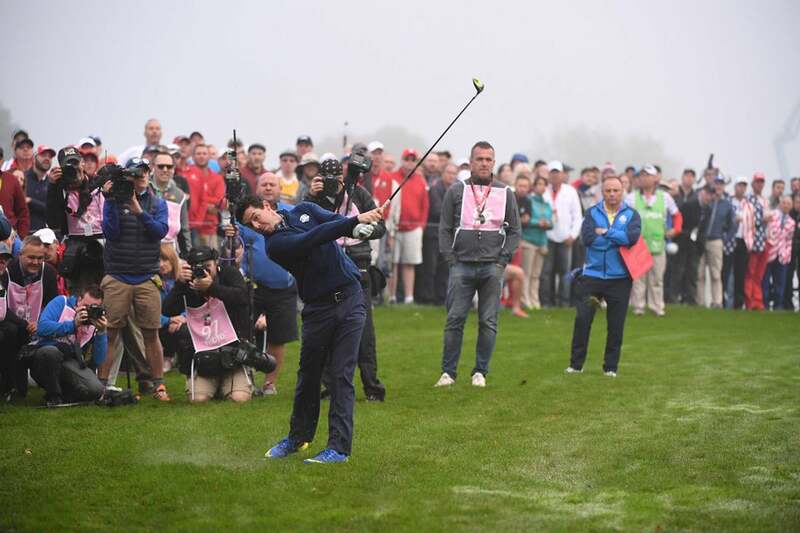 Patrick Reed faced off against Rory McIlroy in the first match of the day on Sunday at Hazeltine. 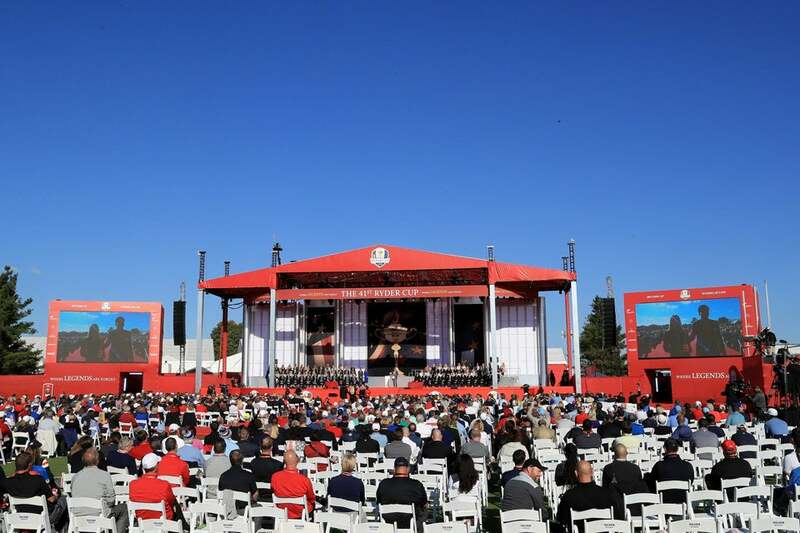 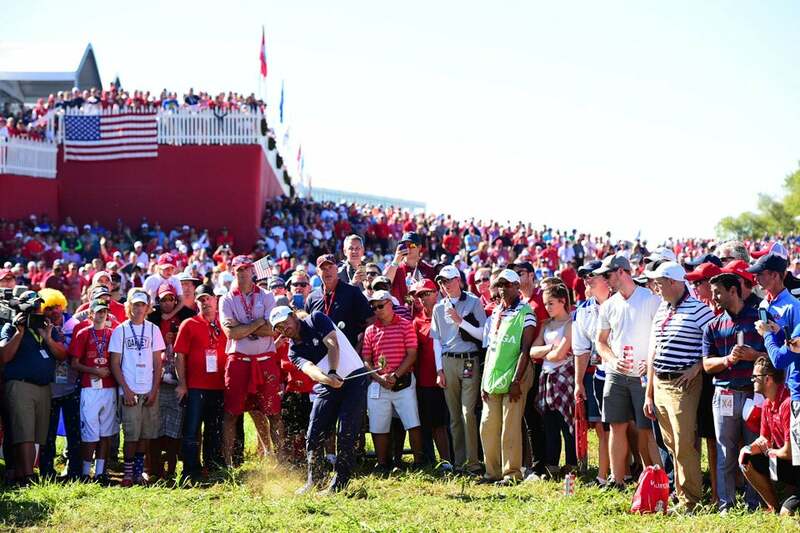 The scene at the 1st hole with Rory McIlroy on the tee. 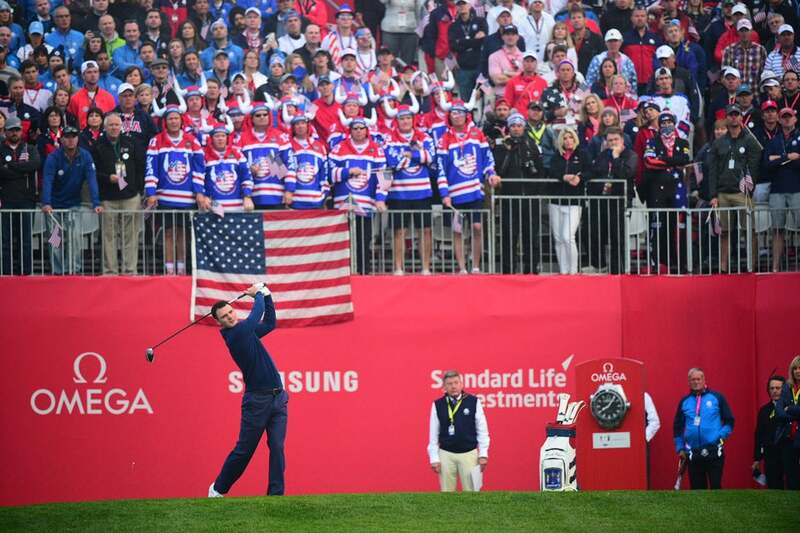 Rory McIlroy and Patrick Reed on the tee just prior to the start of their Sunday singles match. 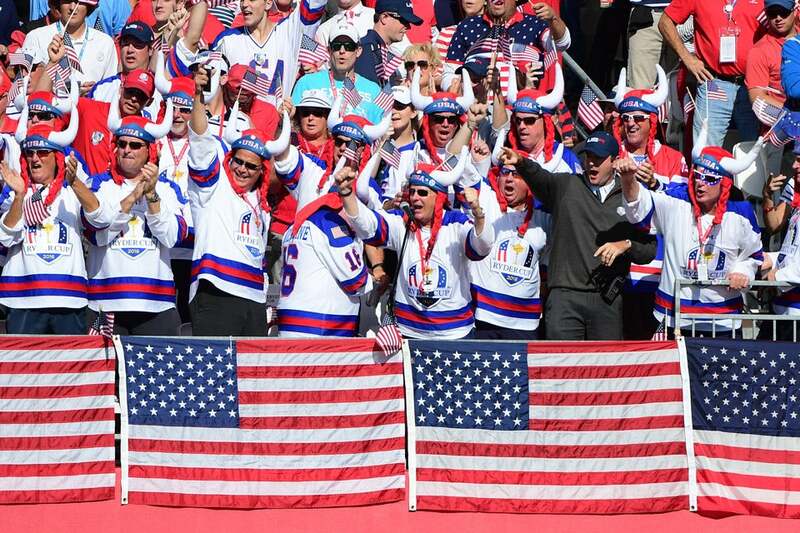 Actor Bill Murray was in the stands cheering on the Americans on Sunday. 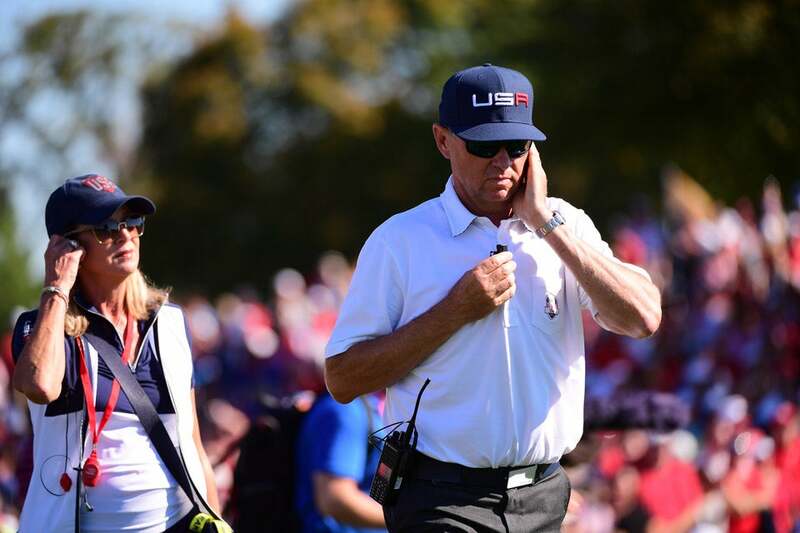 U.S. captain Davis Love III talks with Michael Jordan on Sunday. 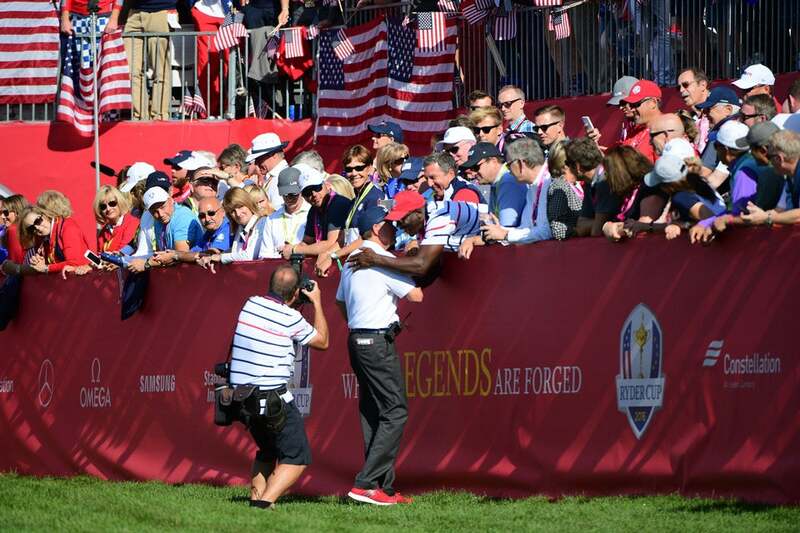 Davis Love III and Michael Jordan. 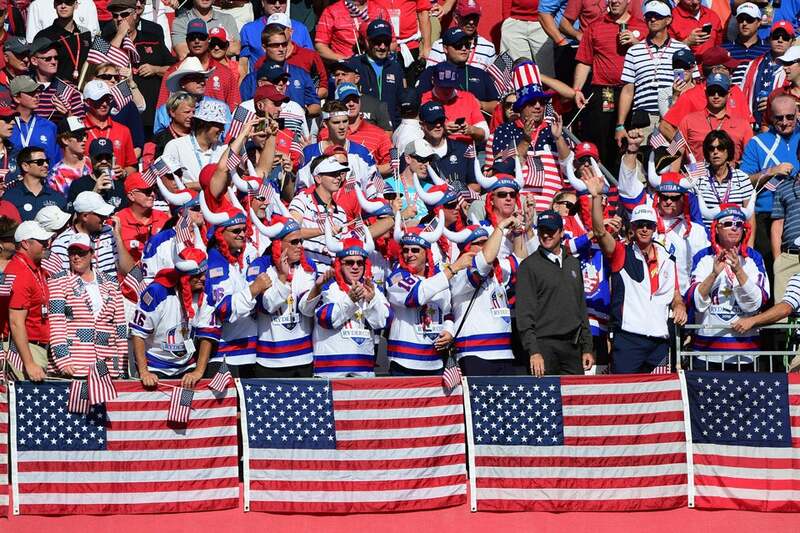 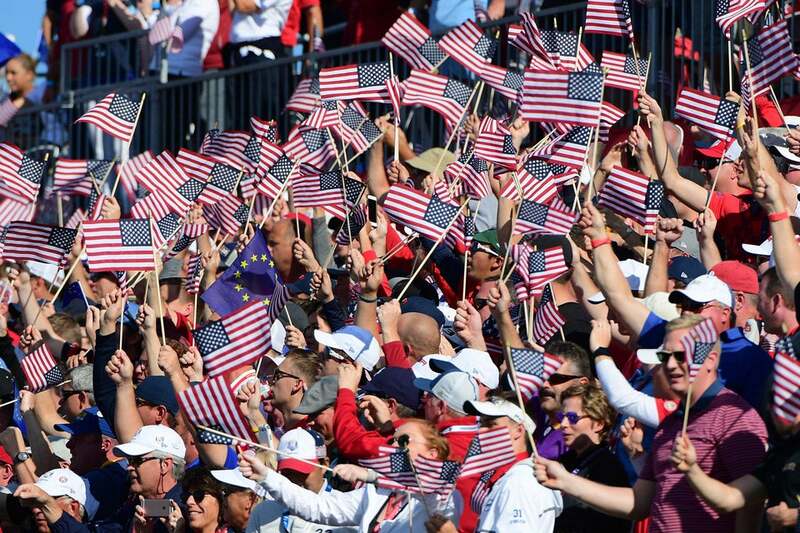 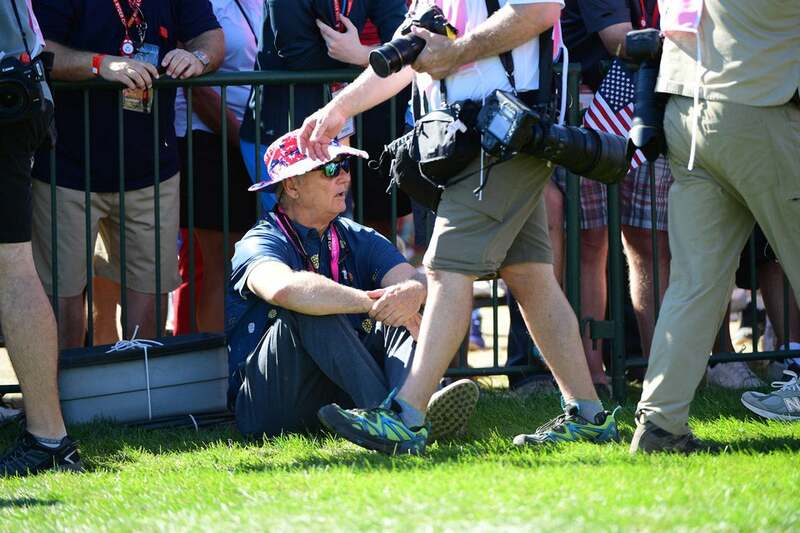 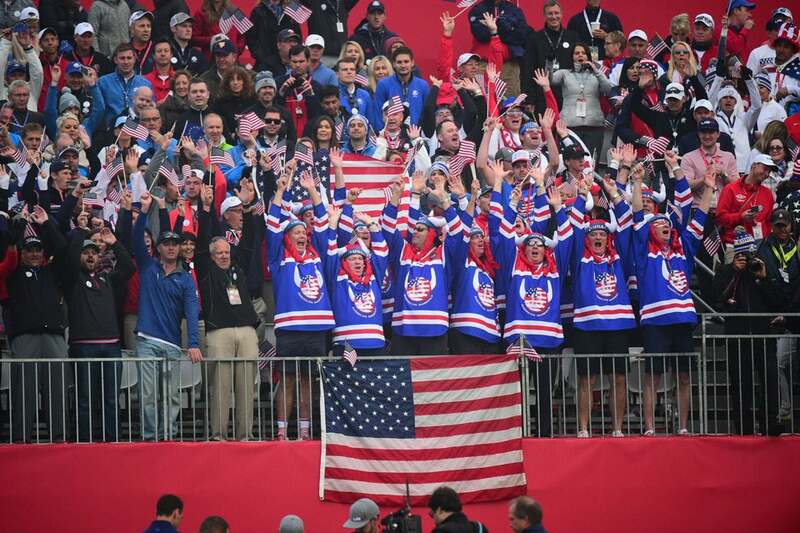 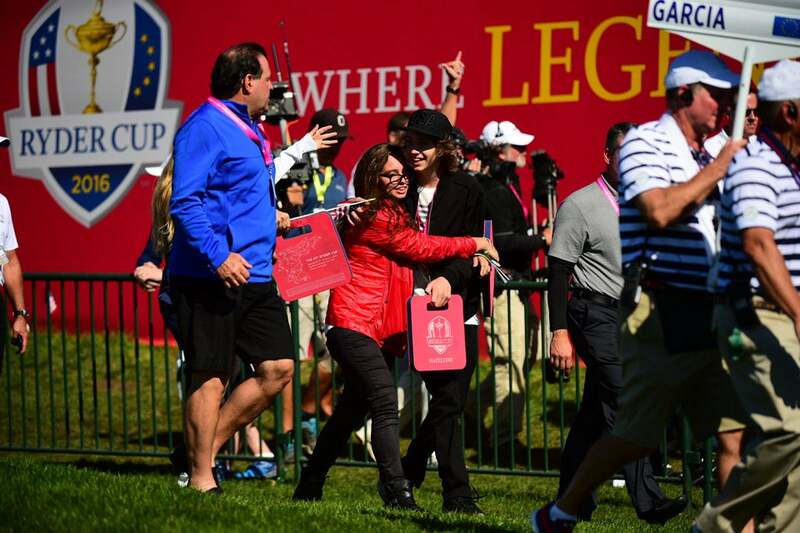 U.S. assistant captain Bubba Watson and his caddie joined fans in the stands on the 1st tee Sunday. 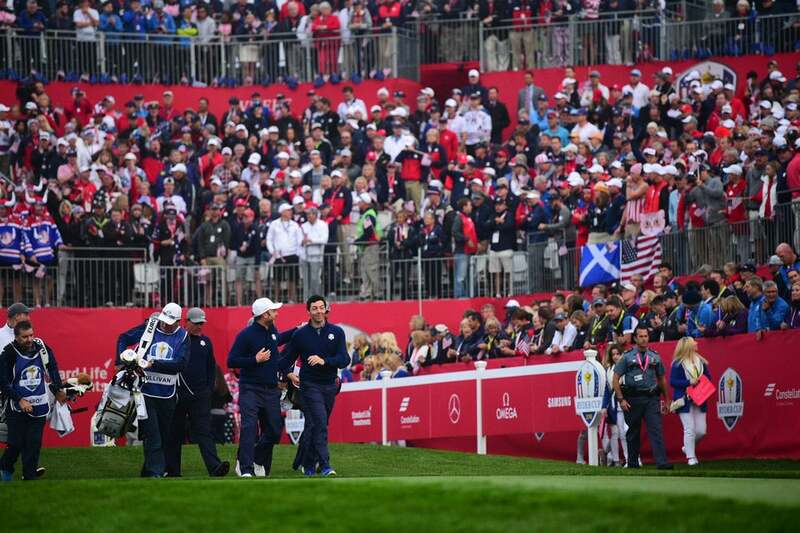 Rory McIlroy and Patrick Reed on the first hole. 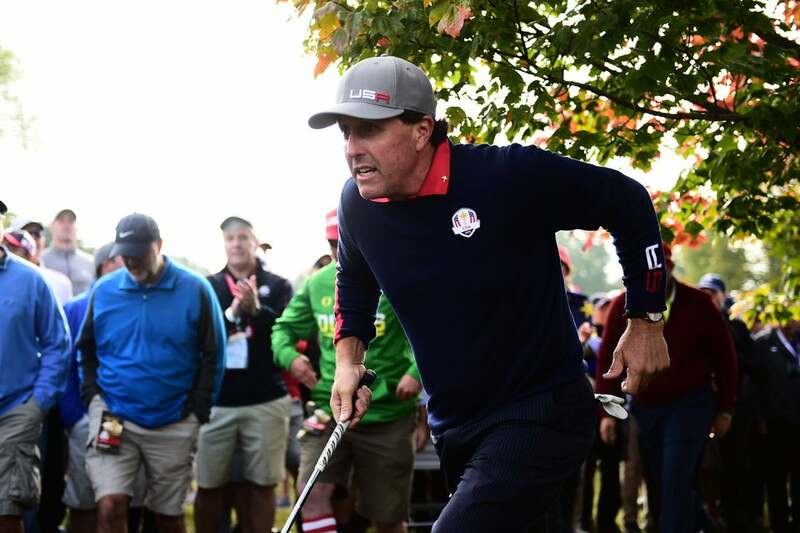 Phil Mickelson on the 1st tee Sunday. 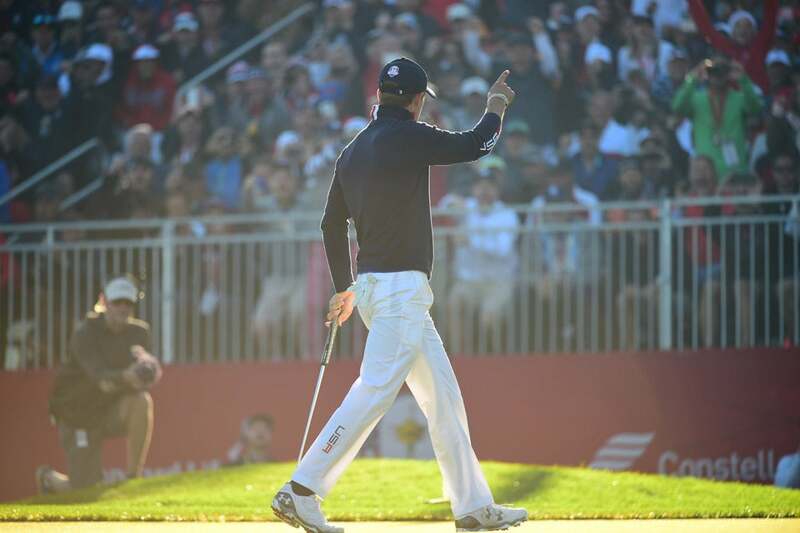 Jimmy Walker tees off on Sunday. 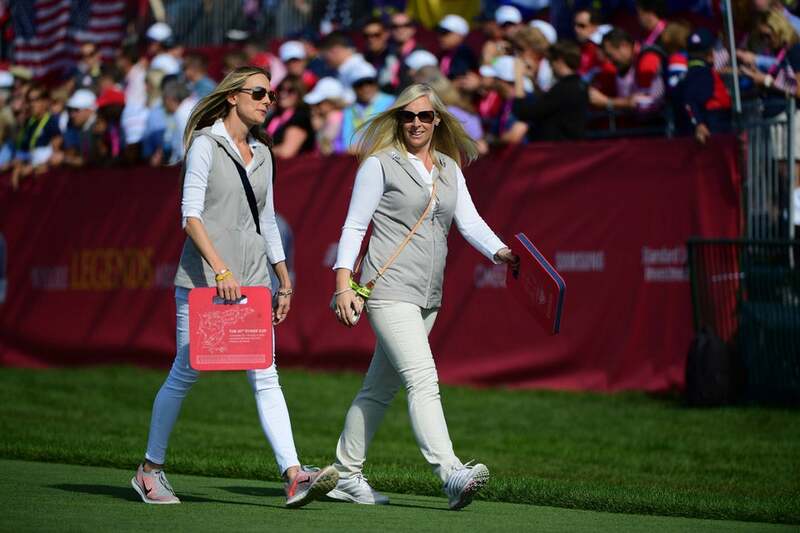 Phil Mickelson's daughter and son were on the course Sunday. 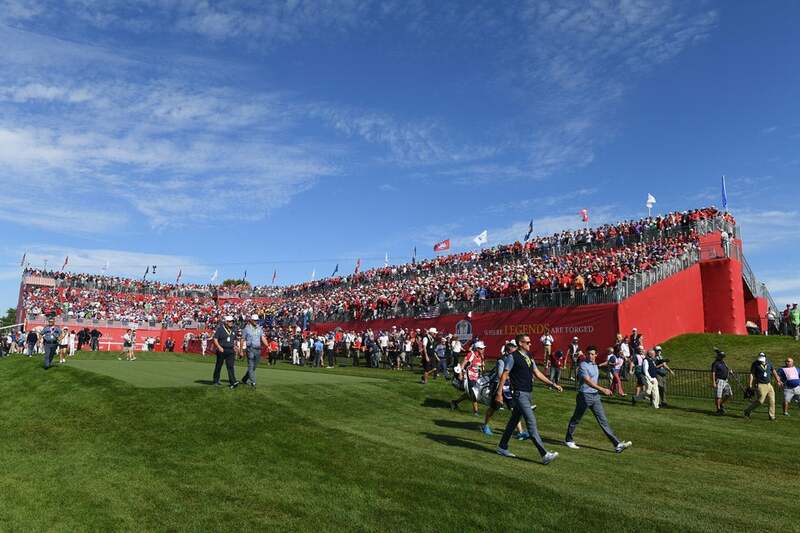 Sergio Garcia on the 1st tee Sunday. 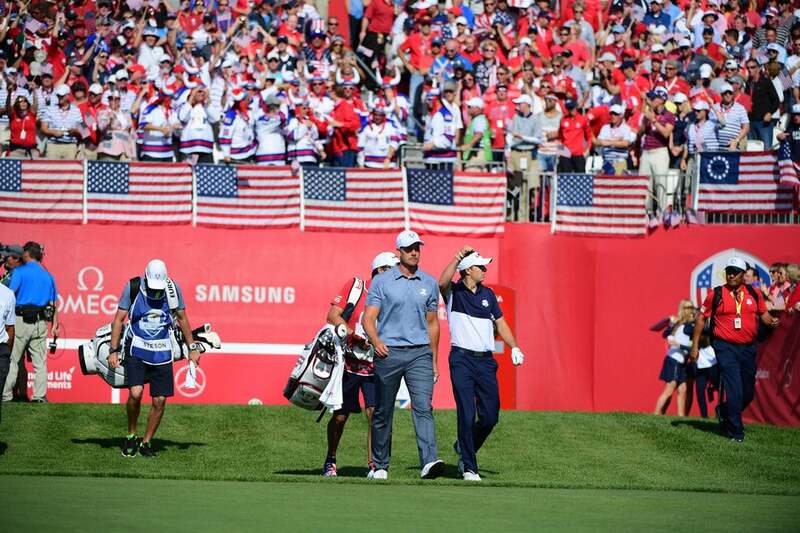 Jordan Spieth and Henrik Stenson on Sunday. 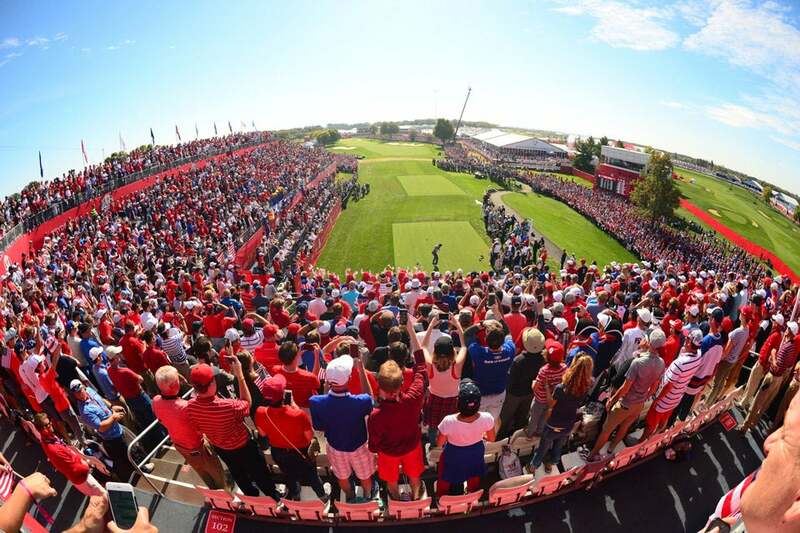 Thomas Pieters tees of for his Sunday singles match. 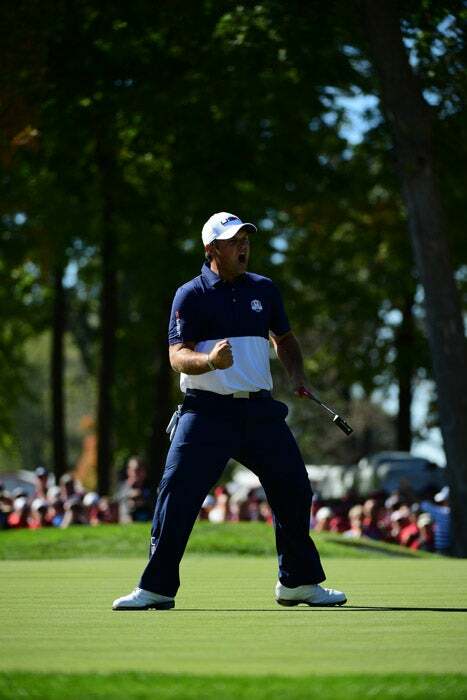 J.B. Holmes celebrates a birdie putt during Saturday afternoon four-ball. 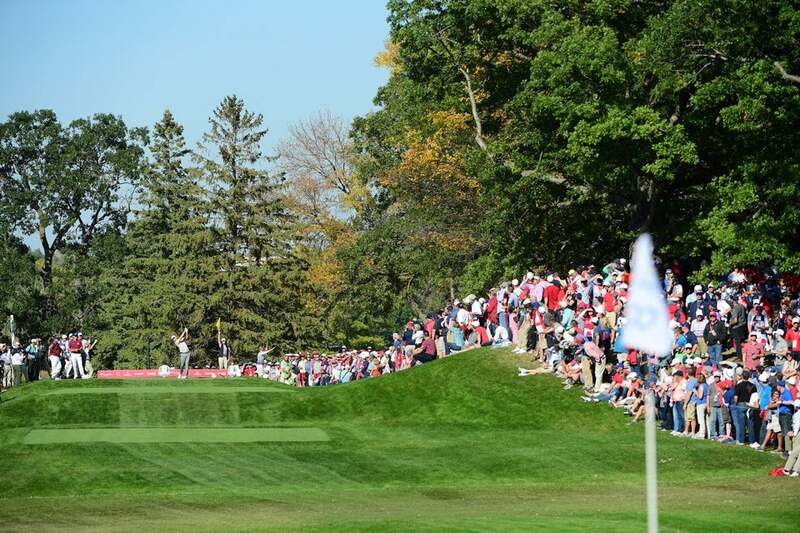 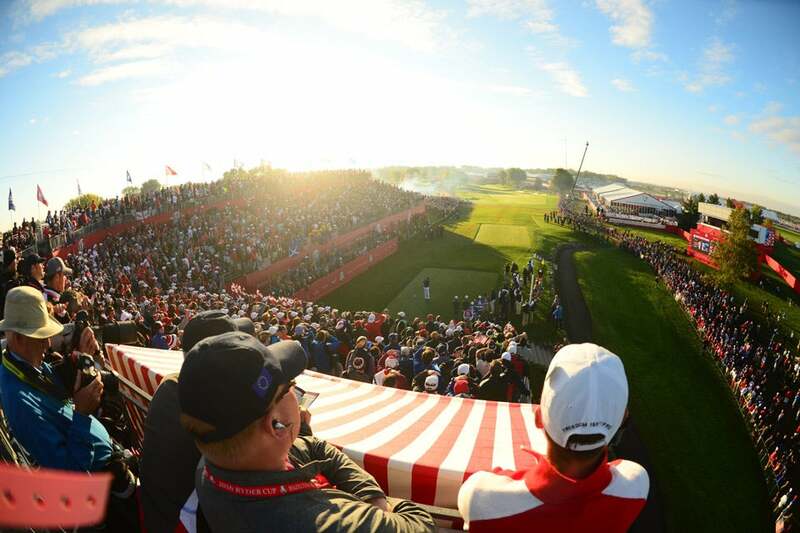 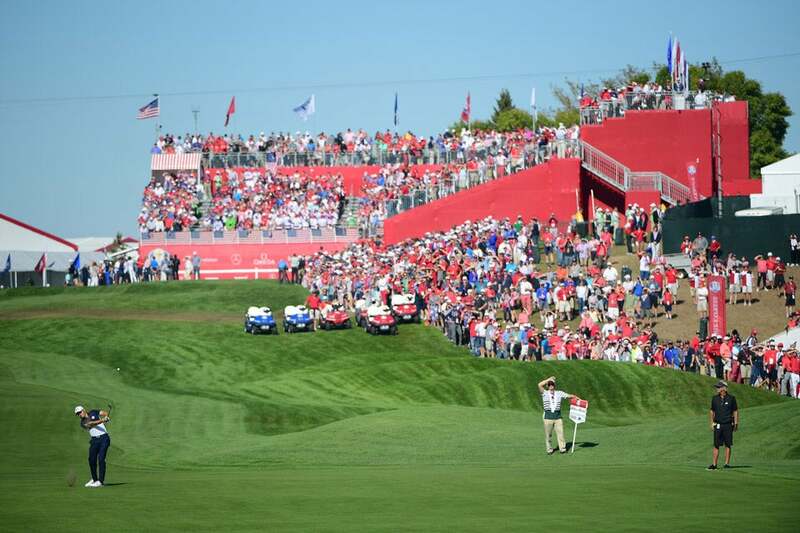 The grandstands at Hazeltine were full Saturday as they have been all week. 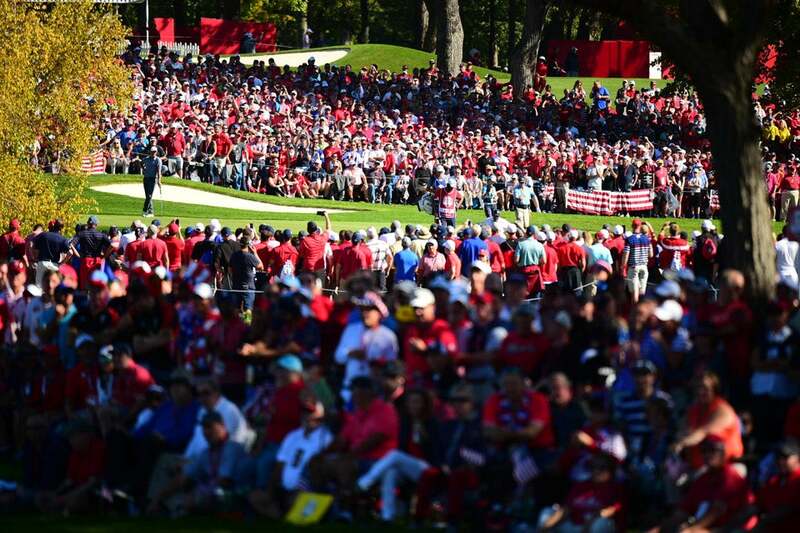 The scene at the 1st tee Saturday morning at Hazeltine. 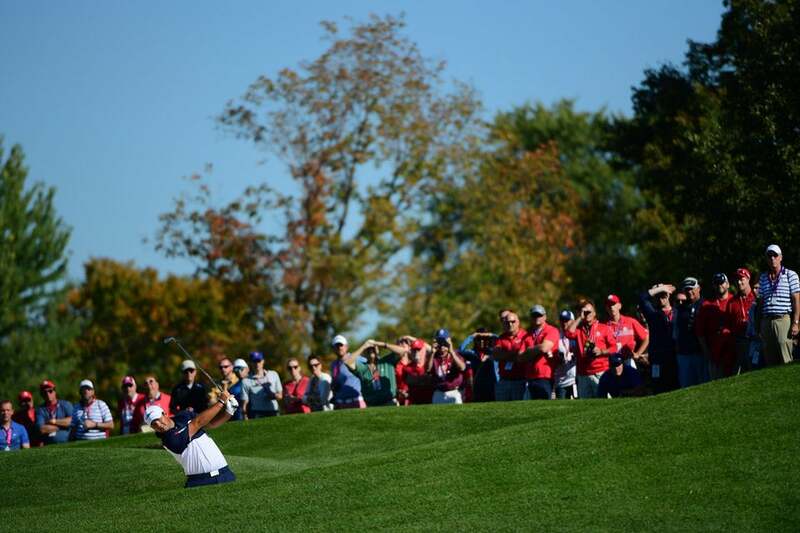 Patrick Reed tees off on the 1st hole Saturday morning. 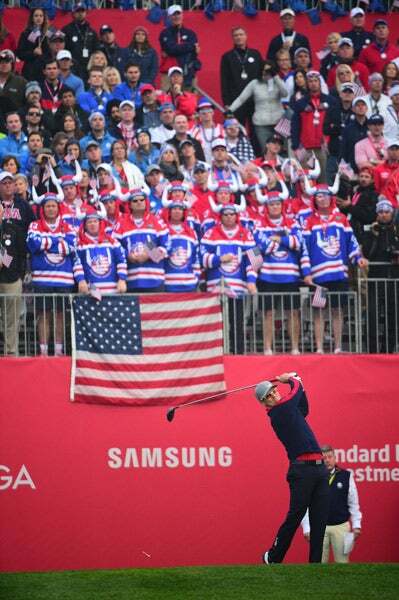 Jordan Spieth during Saturday foursomes. 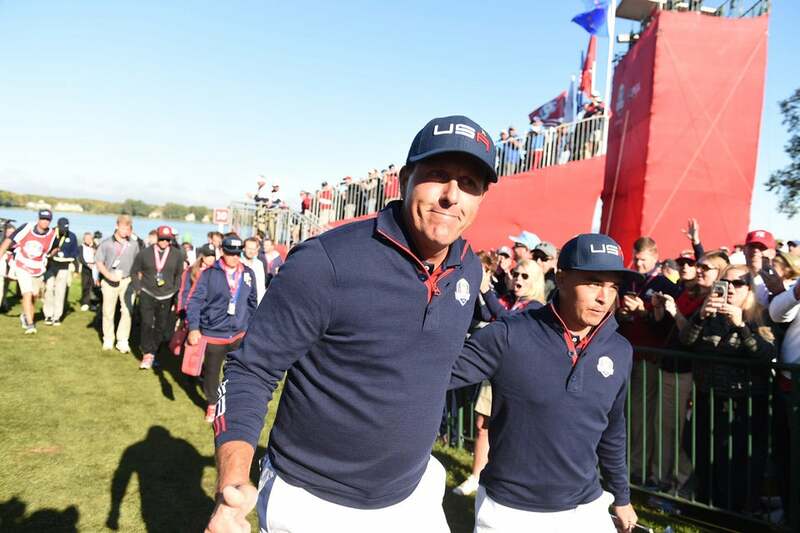 Phil-Mickelson and Rickie Fowler were paired together again during Saturday's morning session. 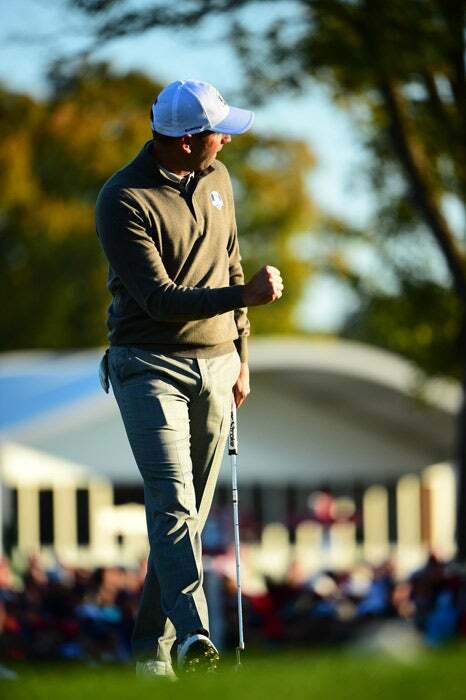 Sergio Garcia earned half a point Saturday morning. 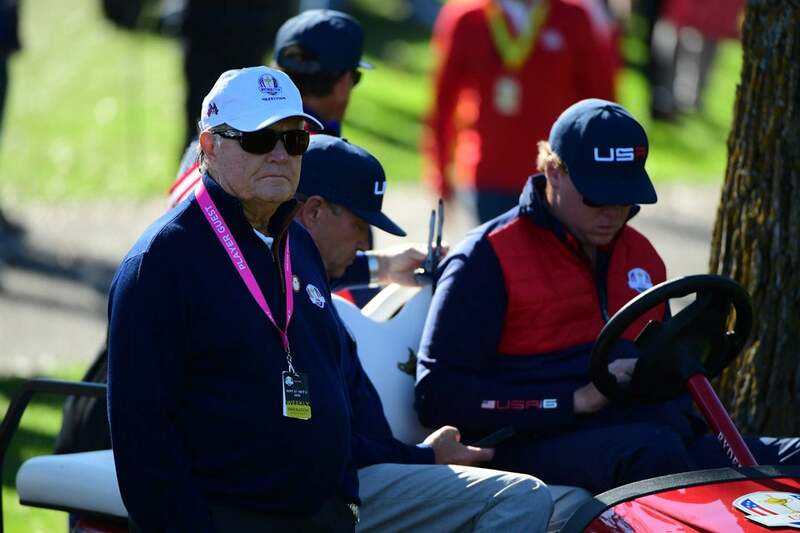 Jack Nicklaus watches the matches Saturday at Hazeltine. 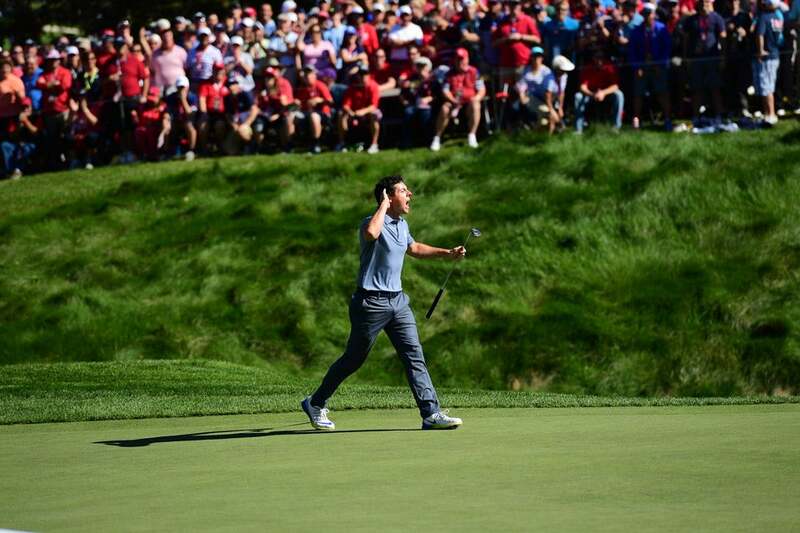 Rory McIlroy teamed with Thomas Pieters to beat Rickie Fowler and Phil Mickelson in Saturday foursomes. 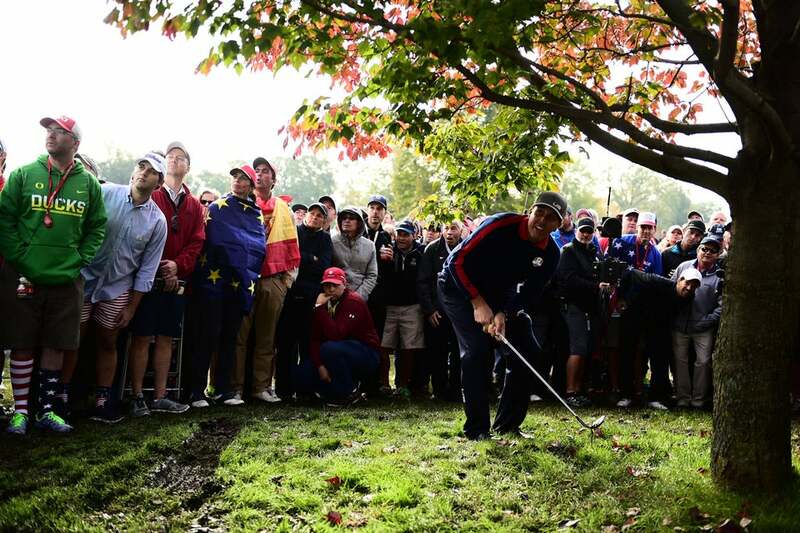 Rory McIlroy tried to read a putt Saturday morning. 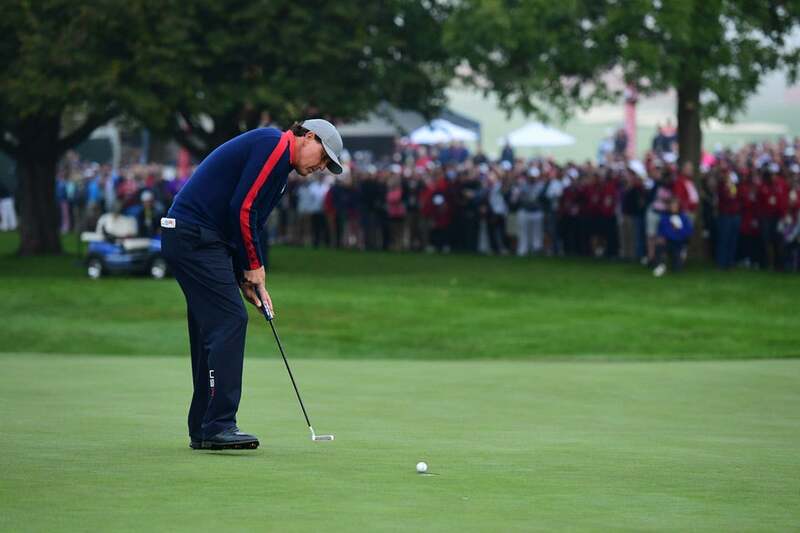 Phil Mickelson lines up a putt on Saturday. 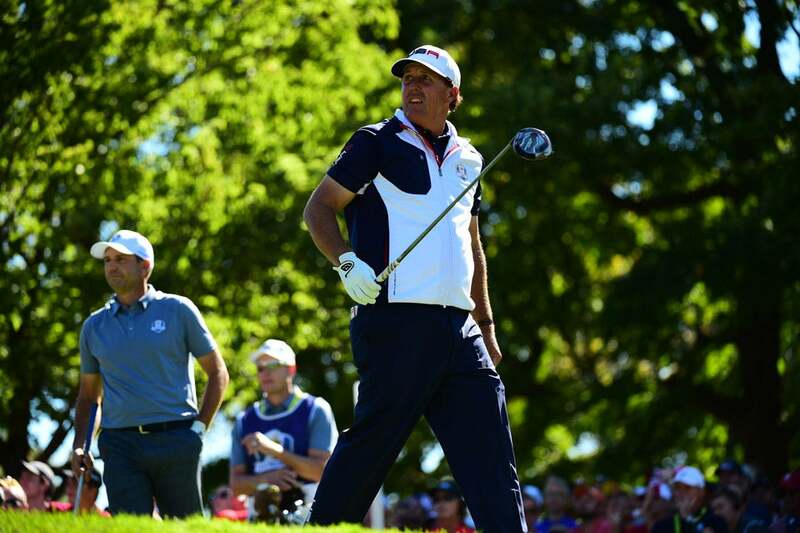 Phil Mickelson hits out of trouble during the first day of action. 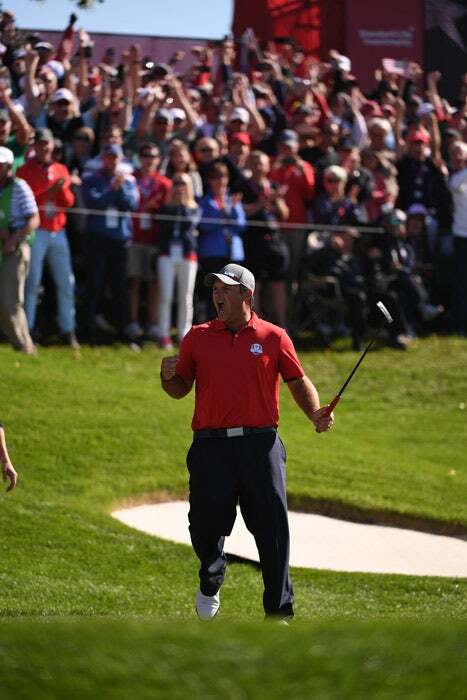 Patrick Reed celebrates the putt that won his first match on Friday. 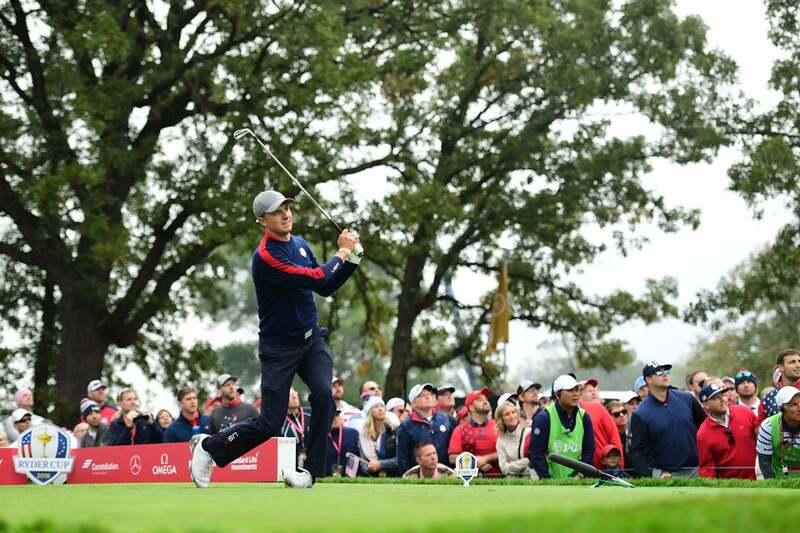 Jordan Spieth watches a drive on Friday. 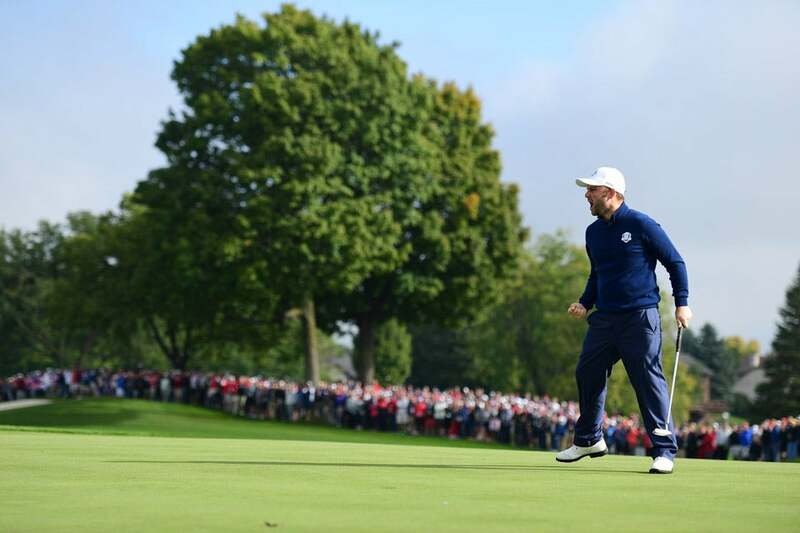 Andy Sullivan after a nice putt. 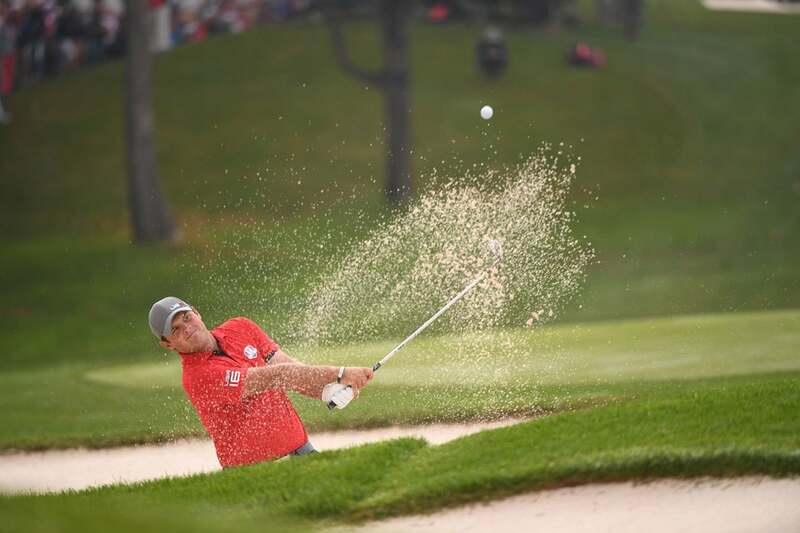 Patrick Reed hits out of a bunker. 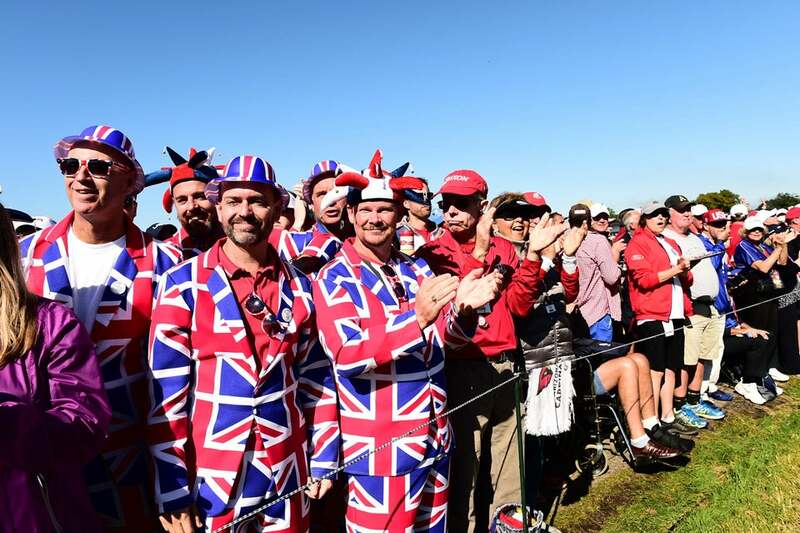 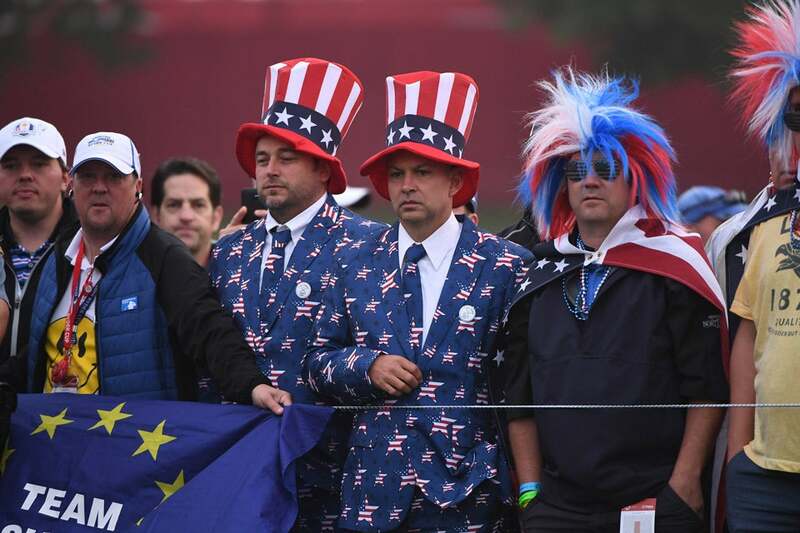 A group of British fans wore matching outfits Friday. 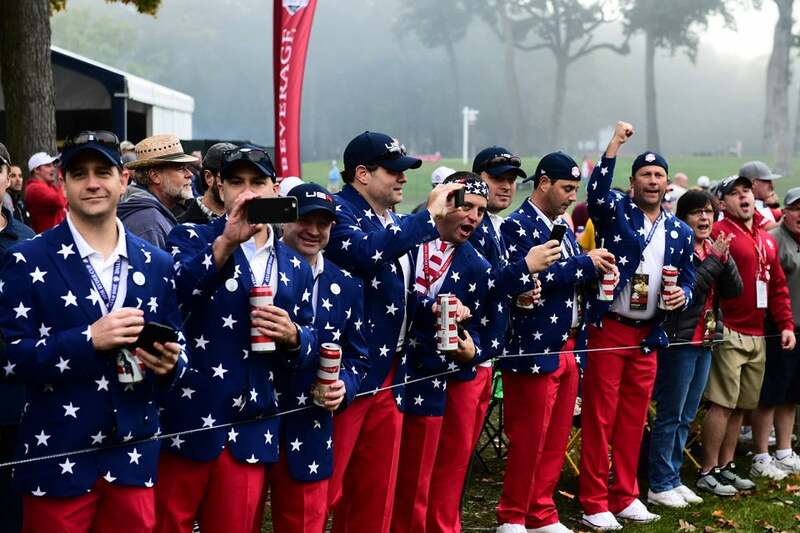 American fans were out in force Friday morning at Hazeltine. 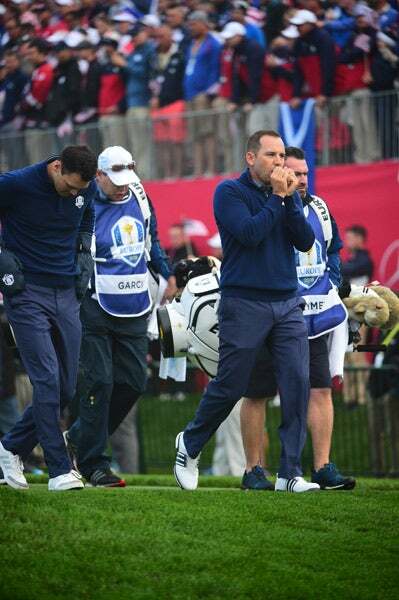 Andy Sullivan and Rory McIlroy were partners for foursomes on day 1. 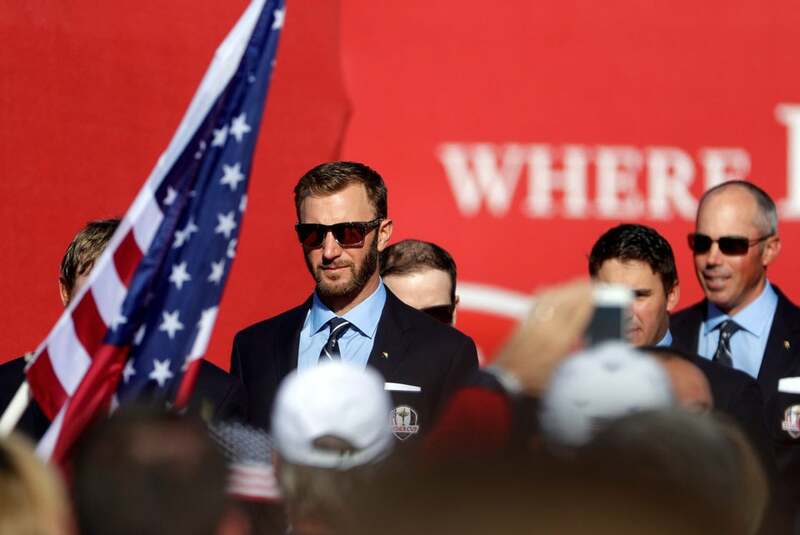 Dustin Johnson on day 1. 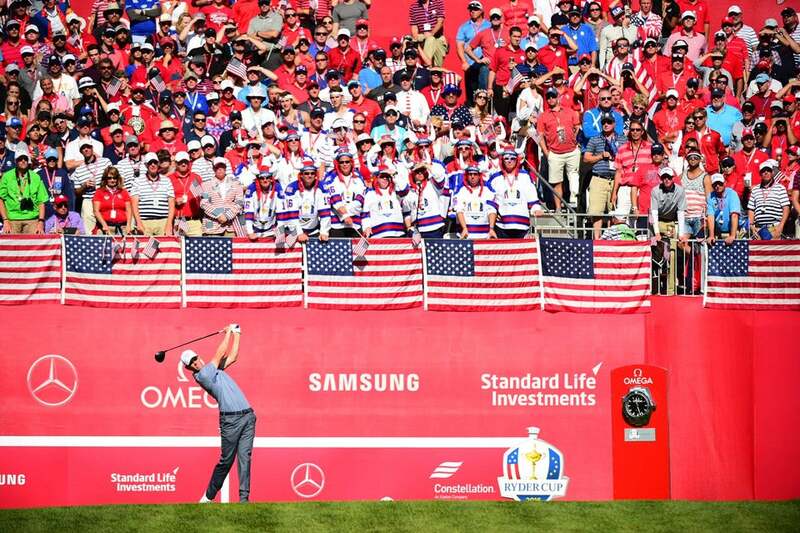 Dustin Johnson tees off to start his first match. 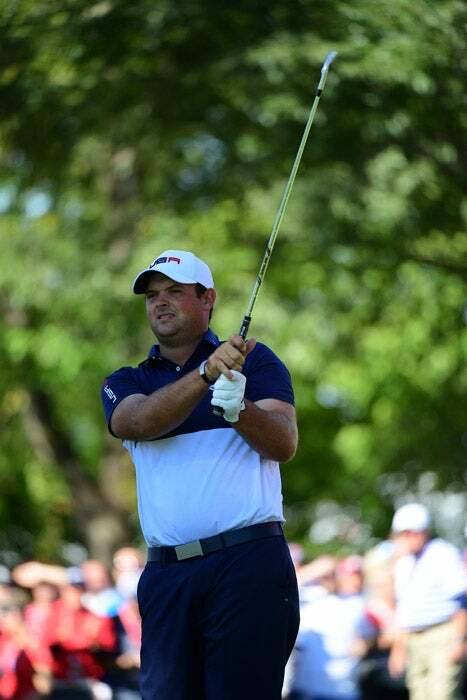 Patrick Reed on the 1st tee. 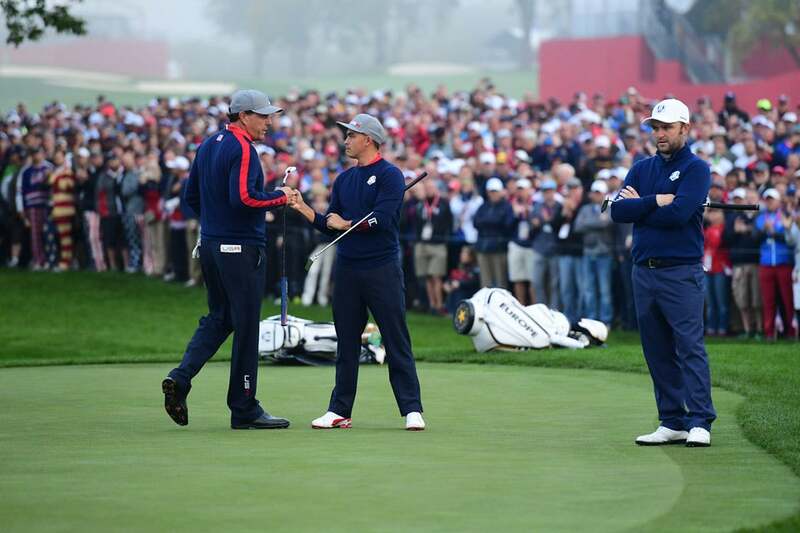 Lee Westwood was paired with Thomas Pieters Friday morning. 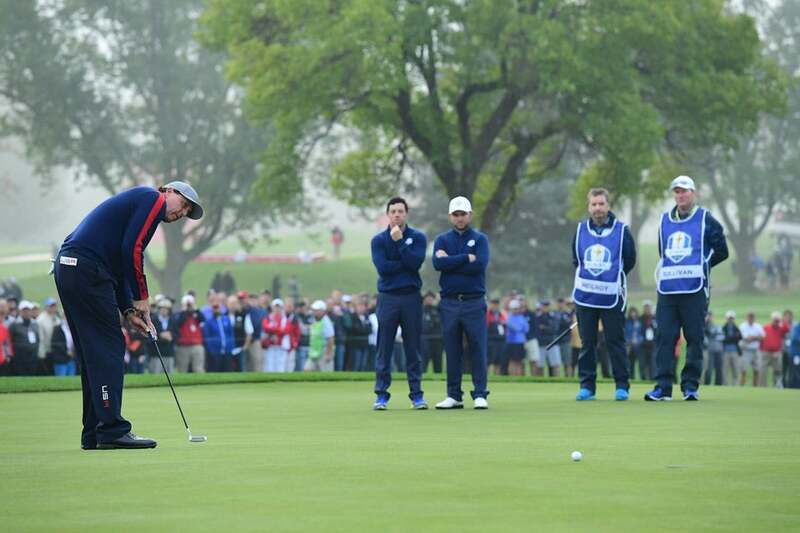 Sergio Garcia and Martin Kaymer were paired together for Friday morning foursomes. 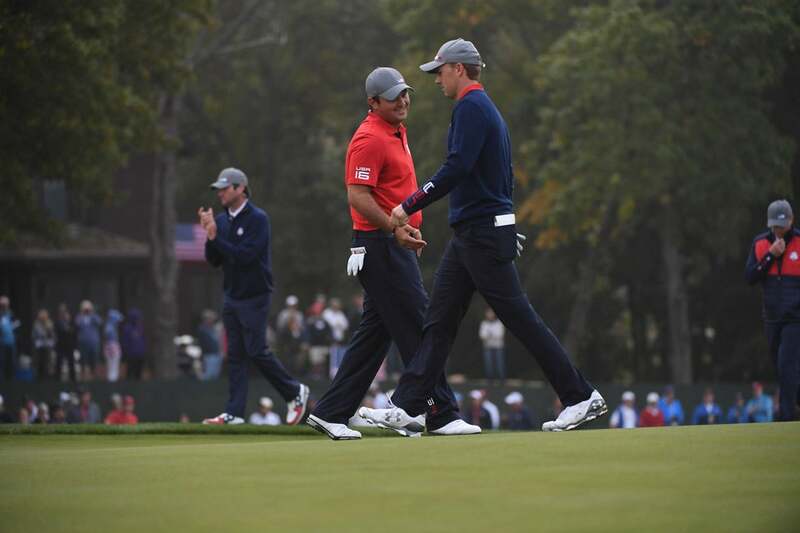 Justin Rose played with Henrik Stenson during Friday foursomes. 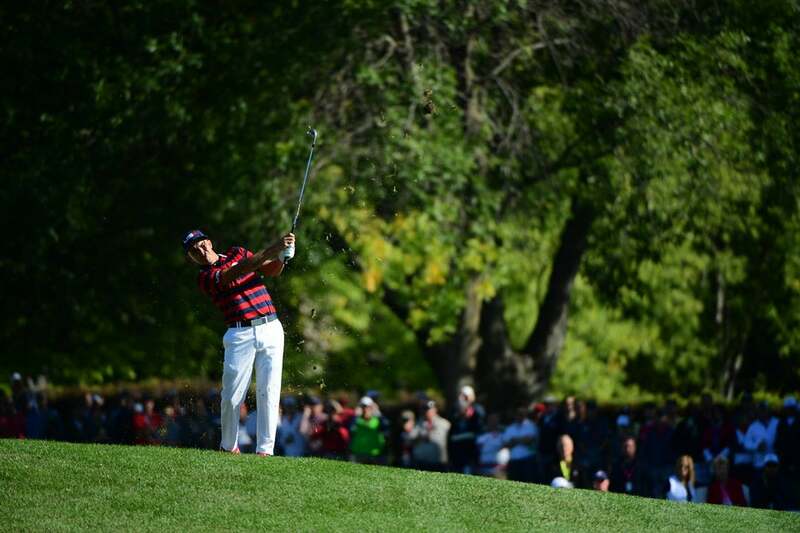 Zach Johnson on the 1st tee Friday morning. 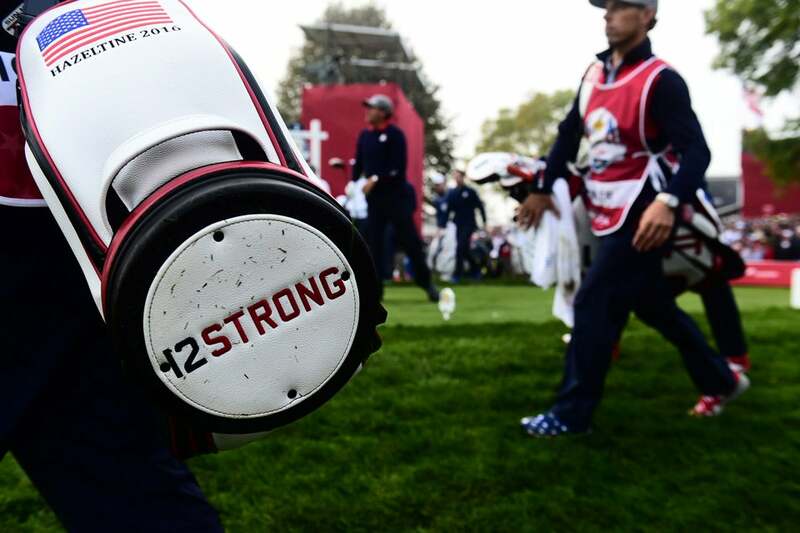 A look at the bottom of the Americans' golf bags this week. 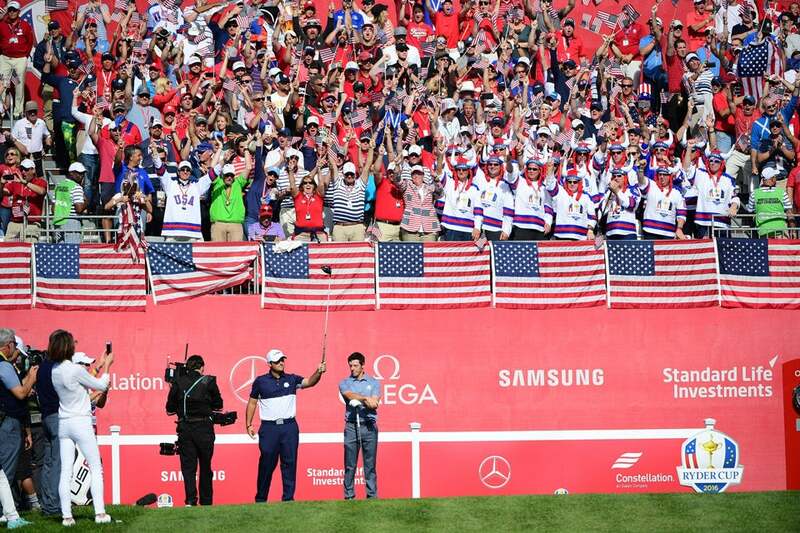 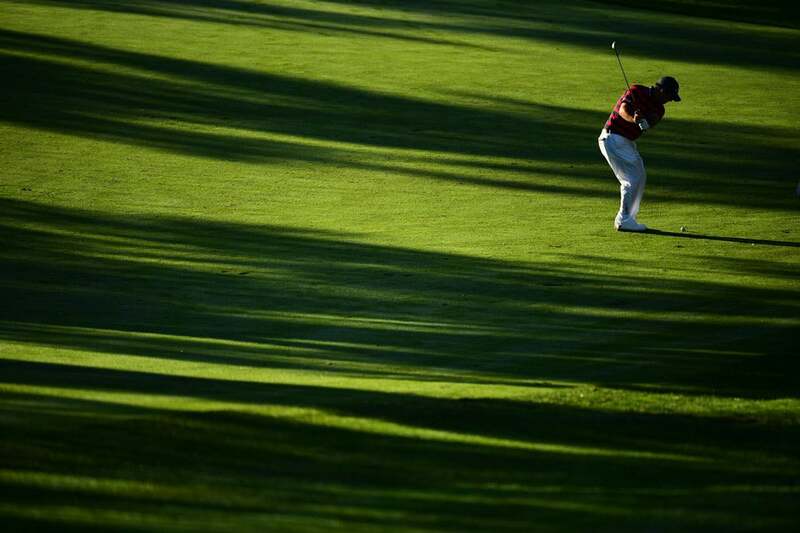 Patrick Reed and Jordan Spieth won their first match 3 and 2 over Justin Rose and Henrik Stenson. 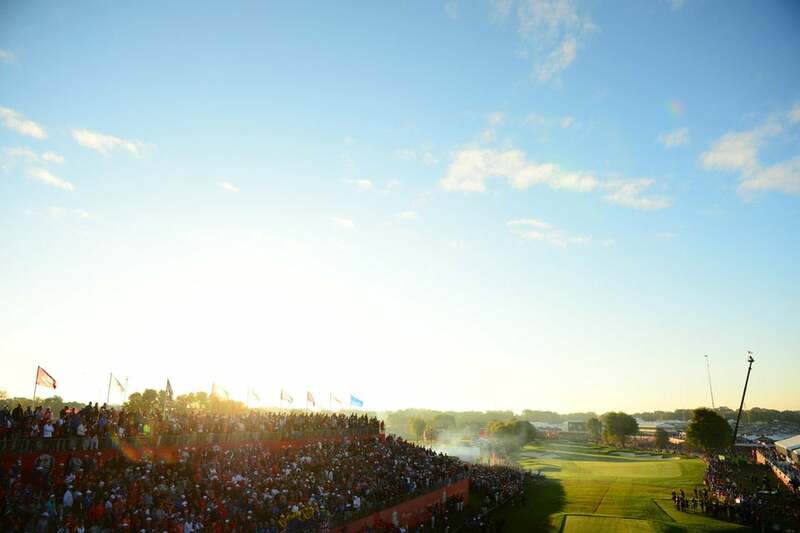 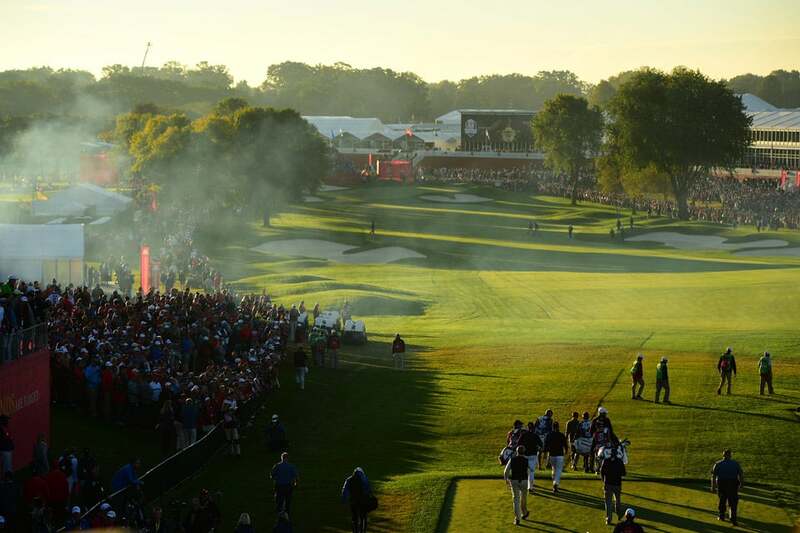 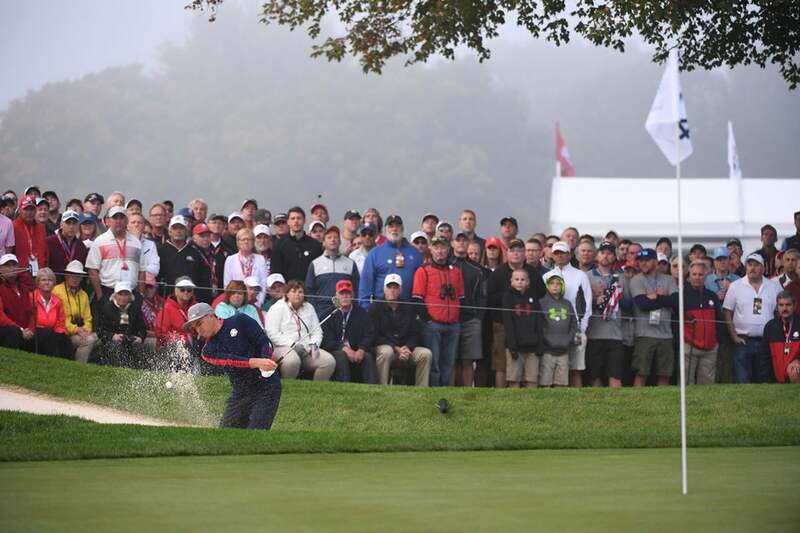 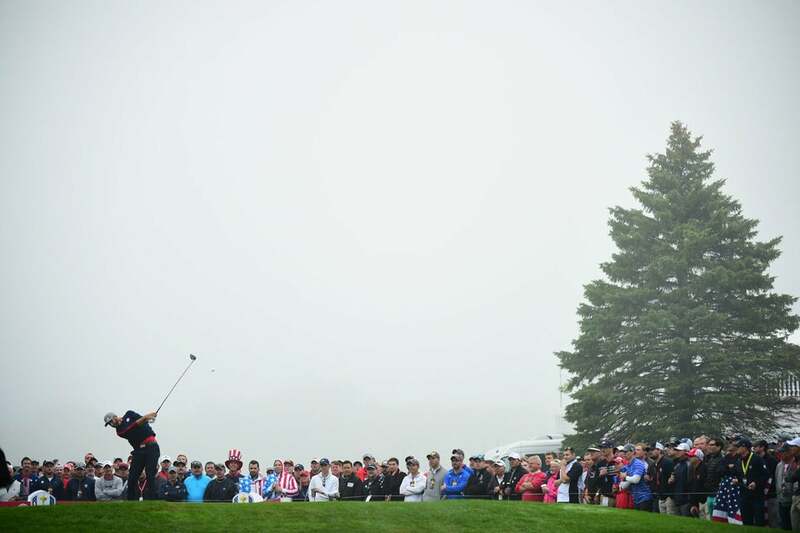 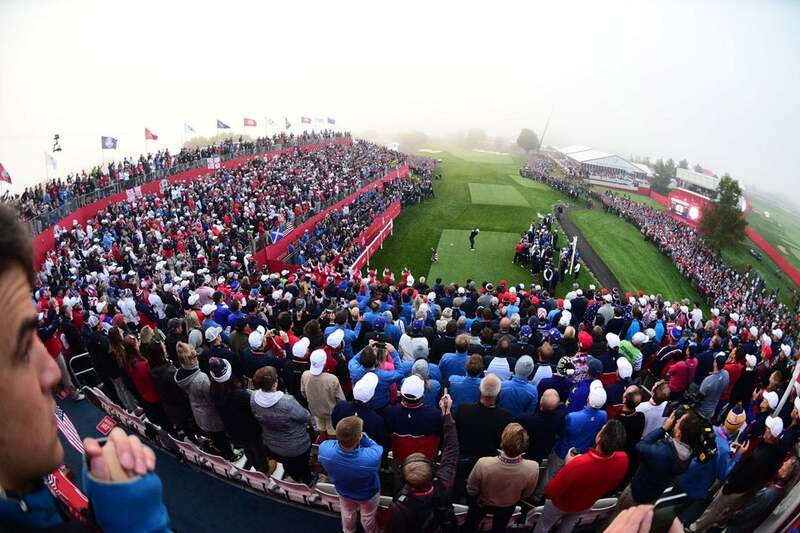 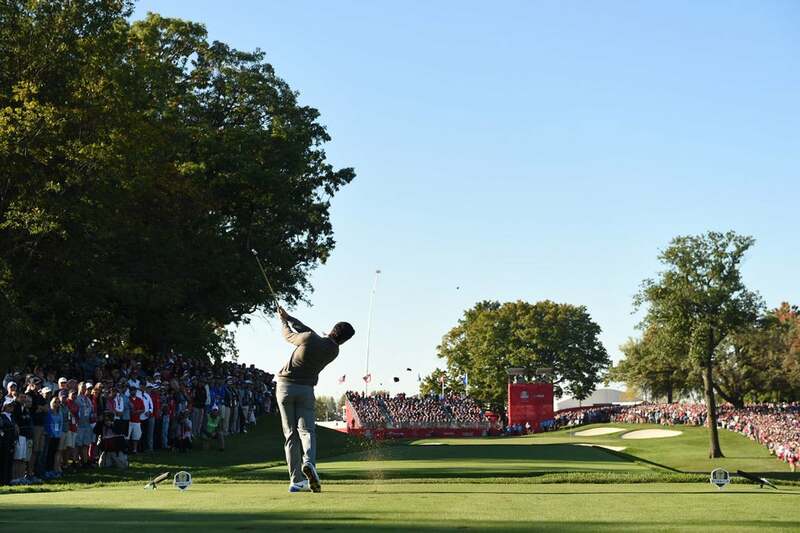 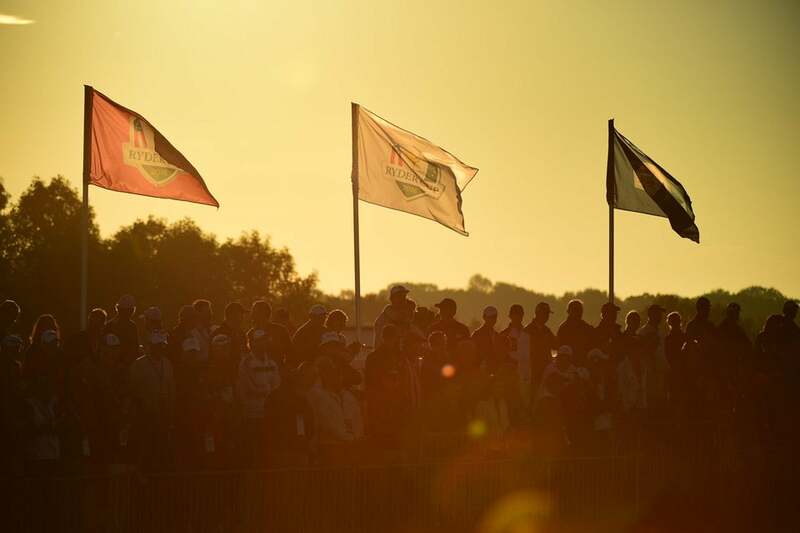 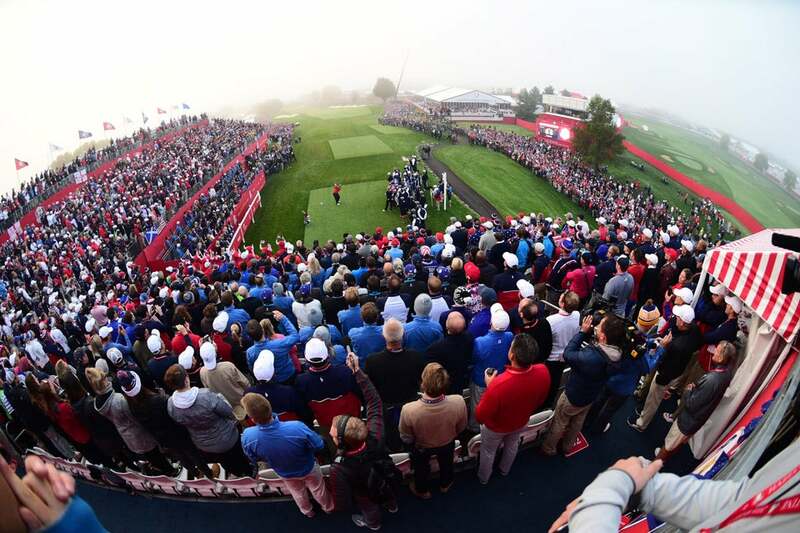 The atmosphere was electric at Hazeltine during the first day of play. 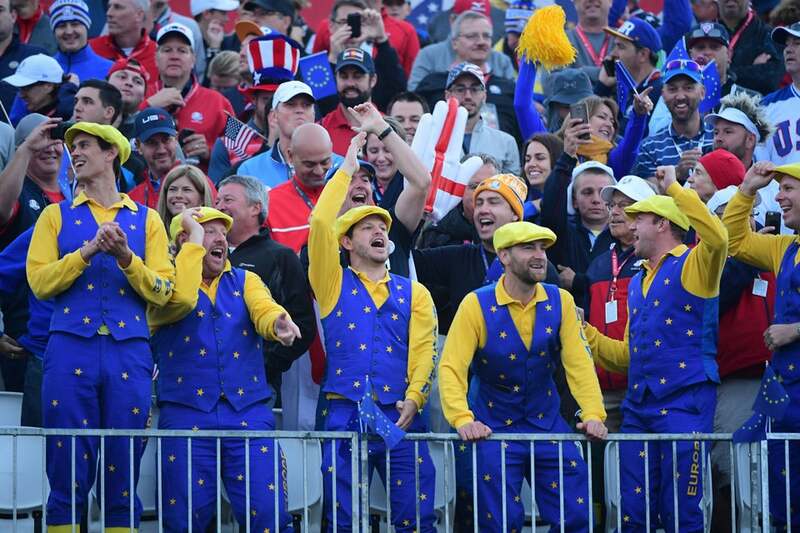 Some brave European fans dressed up for the occasion. 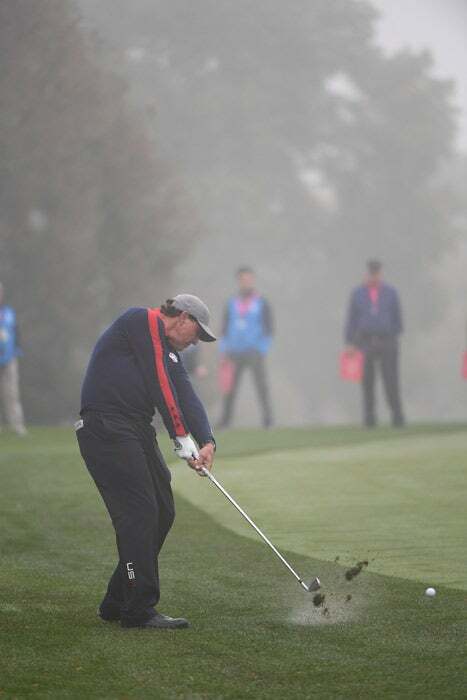 Phil Mickelson putting Friday morning. 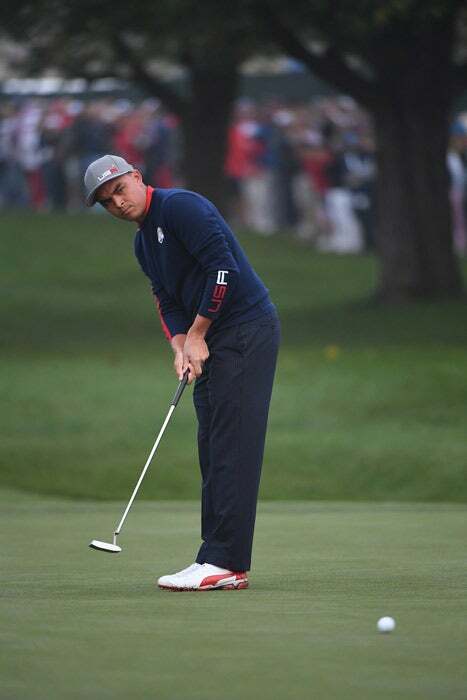 Rickie Fowler hits out of a bunker. 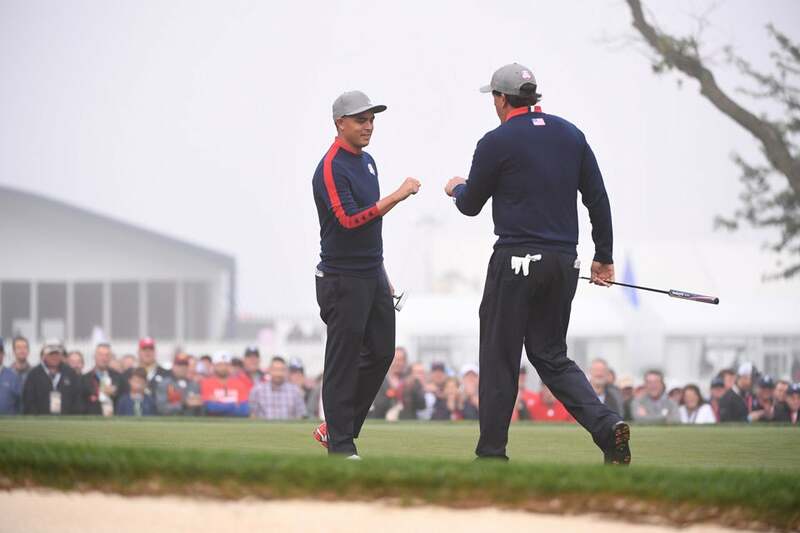 Rickie Fowler and Phil Mickelson. 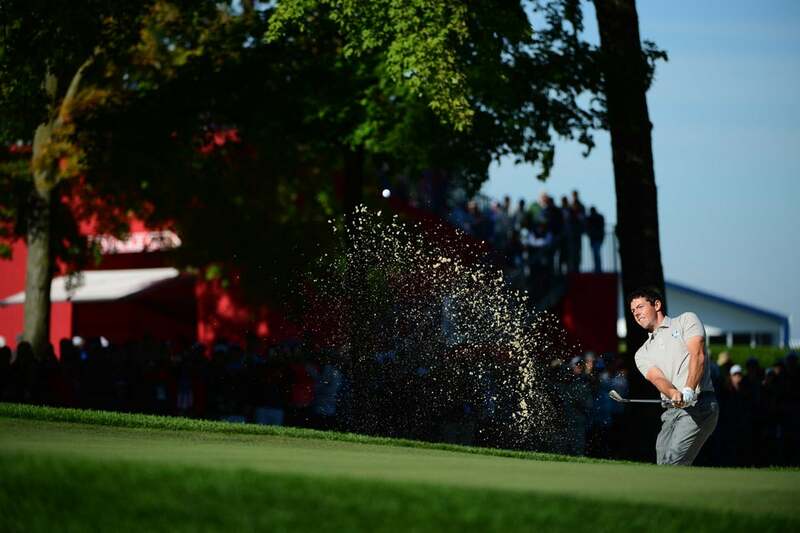 Martin Kaymer on Friday morning. 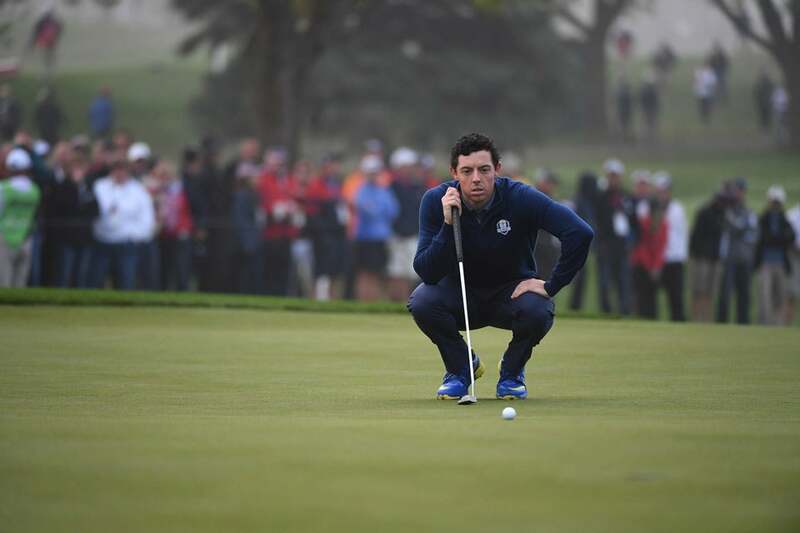 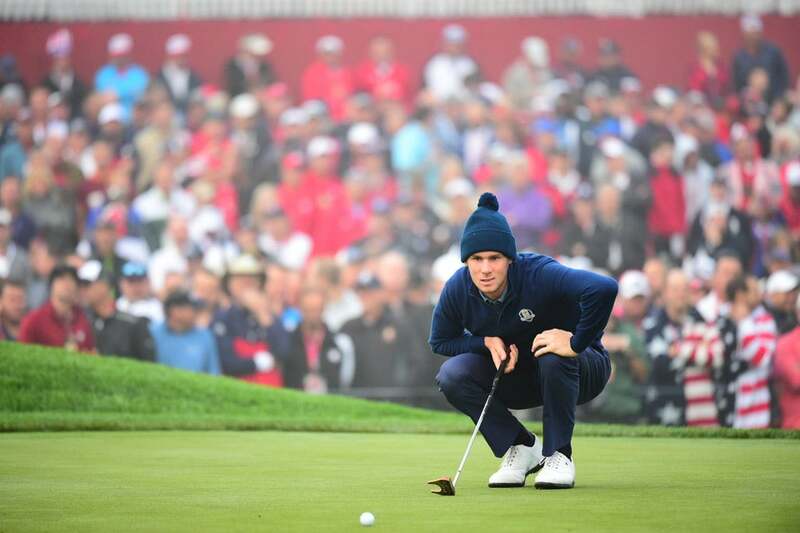 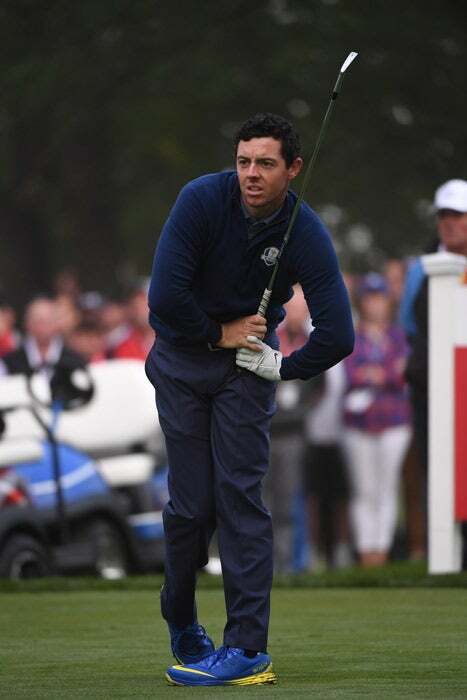 Rory McIlroy lines up a putt. 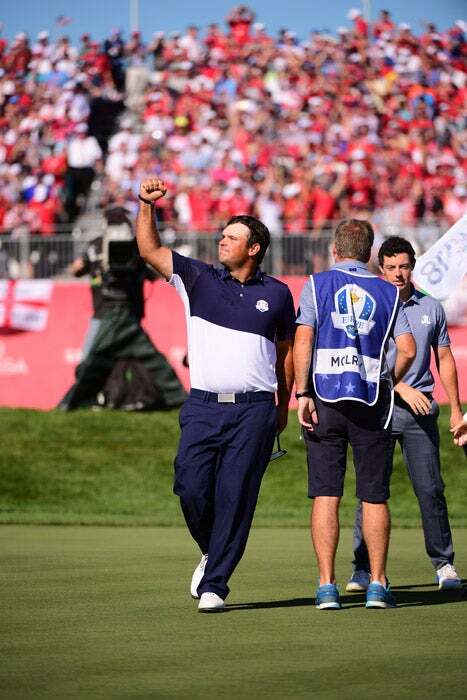 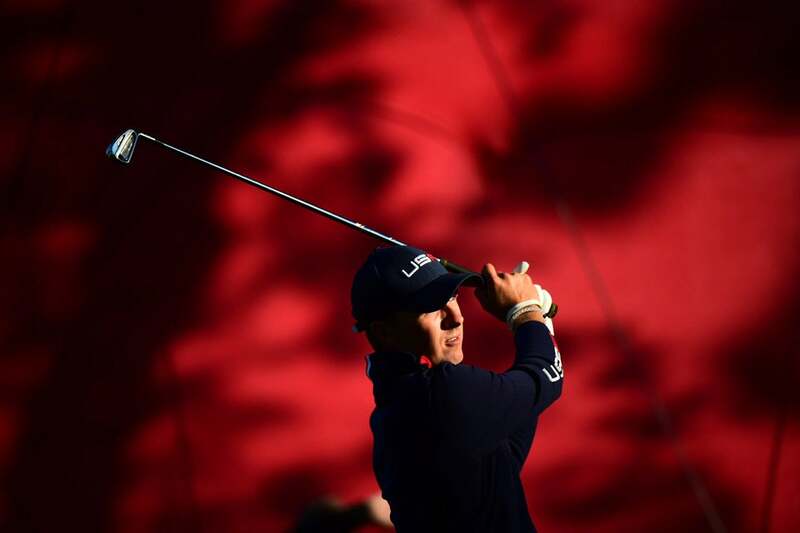 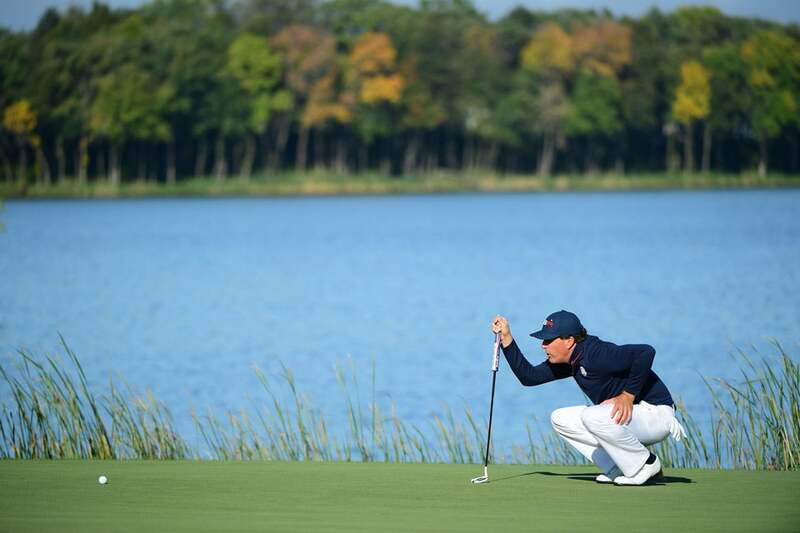 Rickie Fowler and Phil Mickelson had a thrilling match against Rory McIlroy and Andy Sullivan. 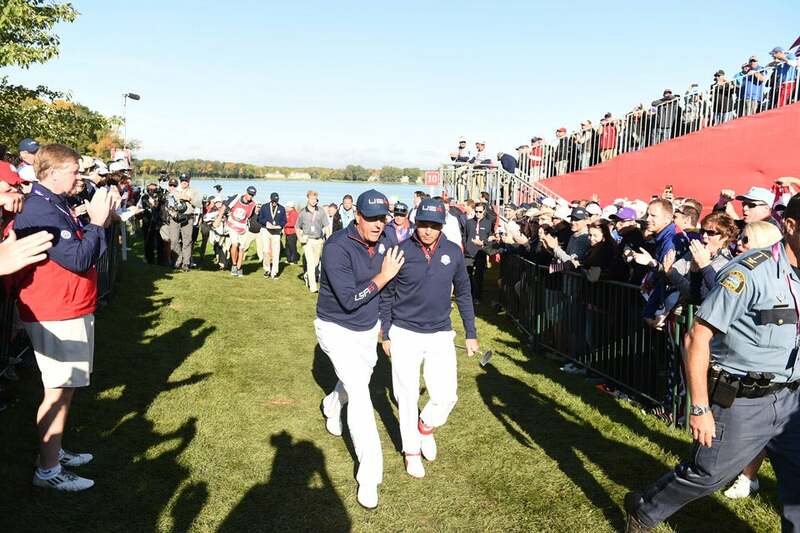 Phil Mickelson and Matt Kuchar proceed into the venue. 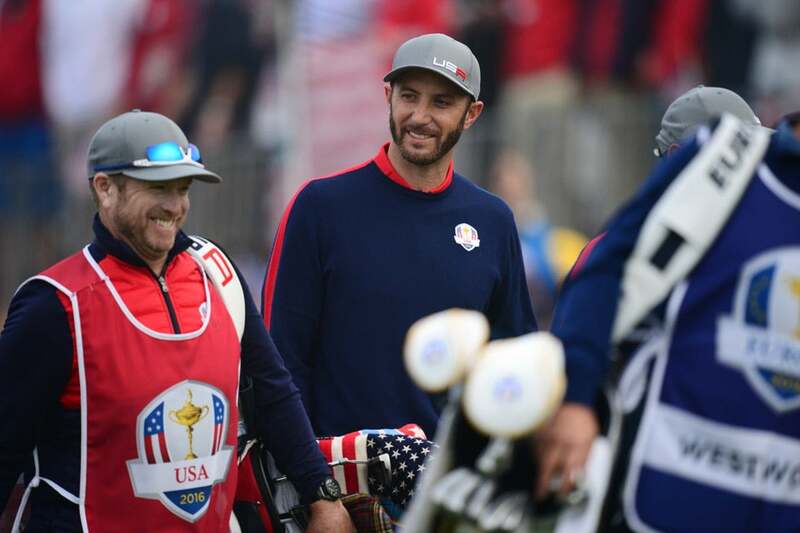 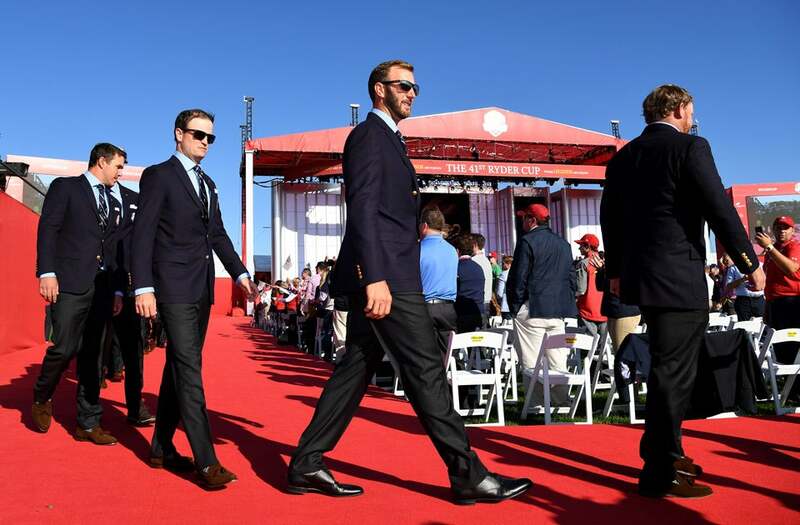 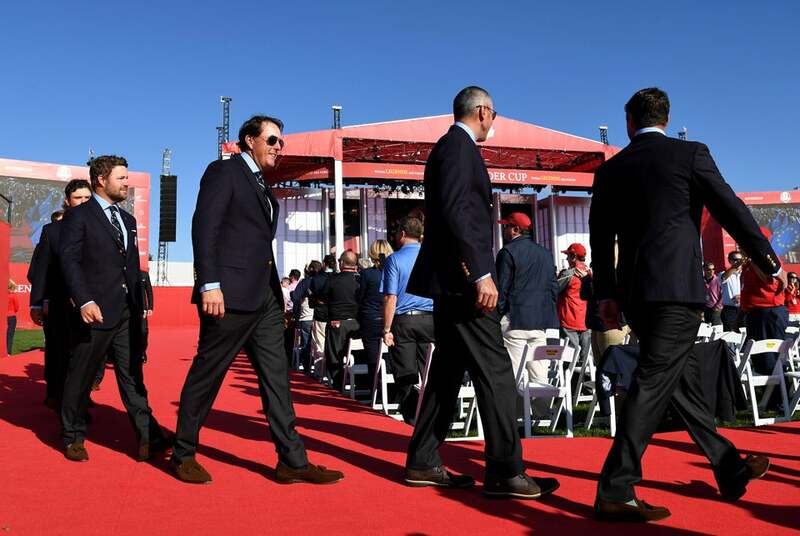 Dustin Johnson and Zach Johnson arrive at the ceremony. 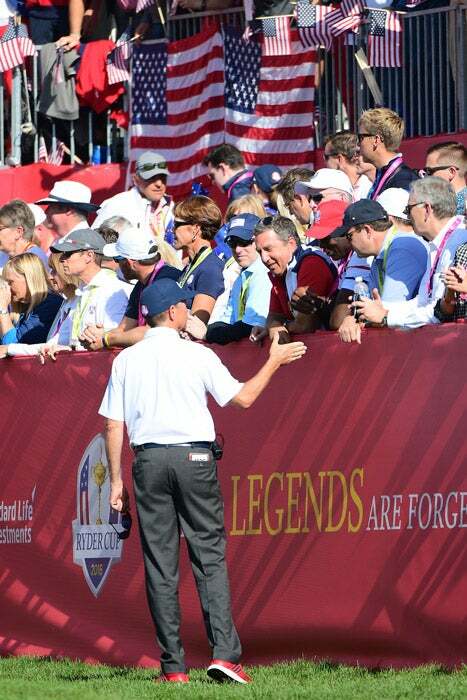 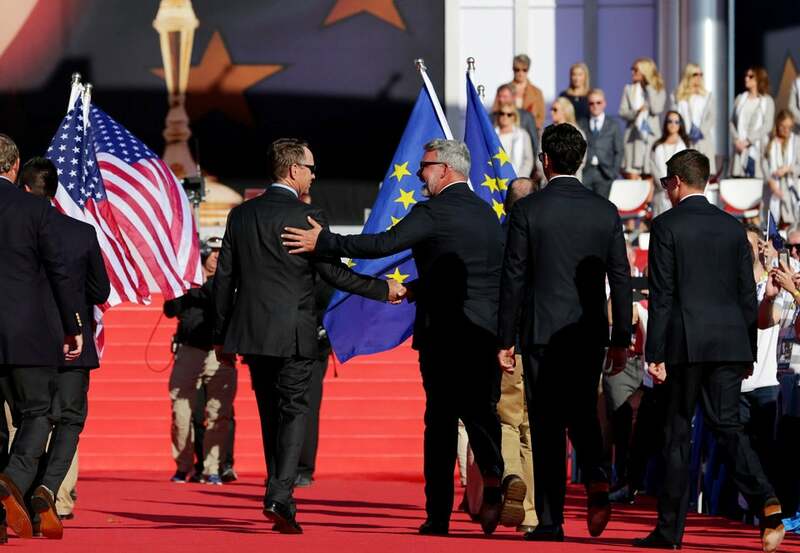 Captains Davis Love III and Darren Clarke shake hands. 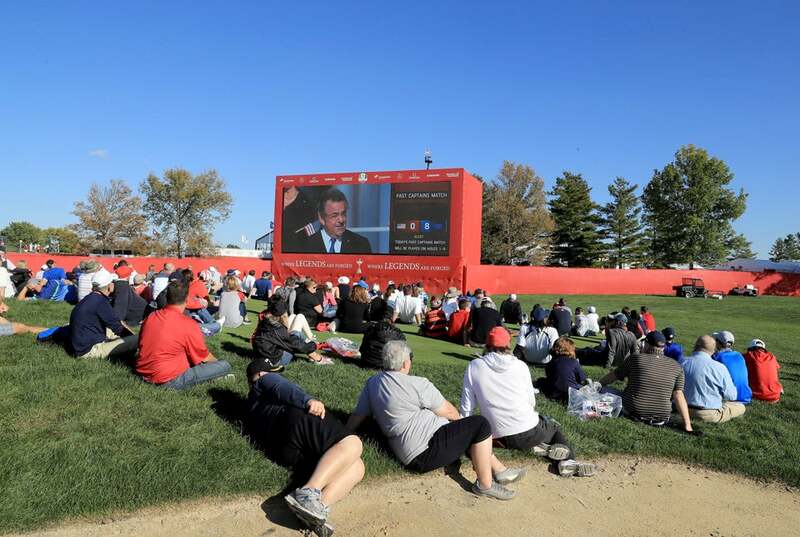 Fans watch the Opening Ceremony from afar. 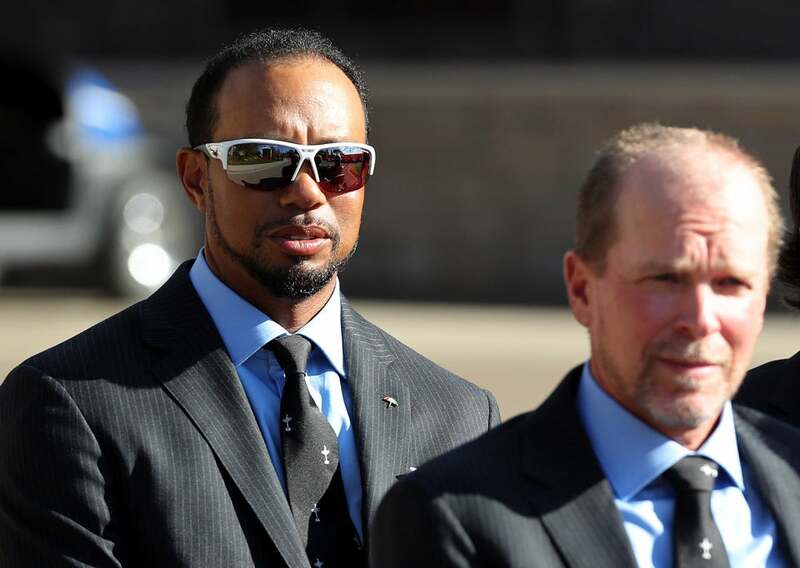 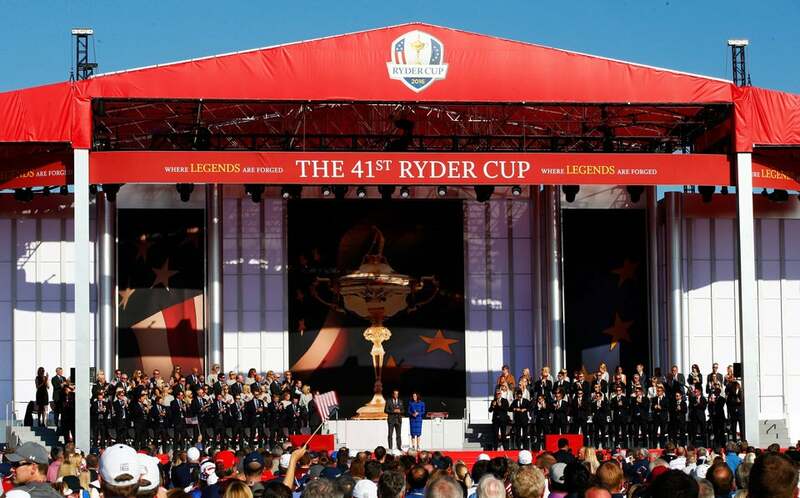 U.S. vice captains Tiger Woods and Steve Stricker line up for the Opening Ceremony. 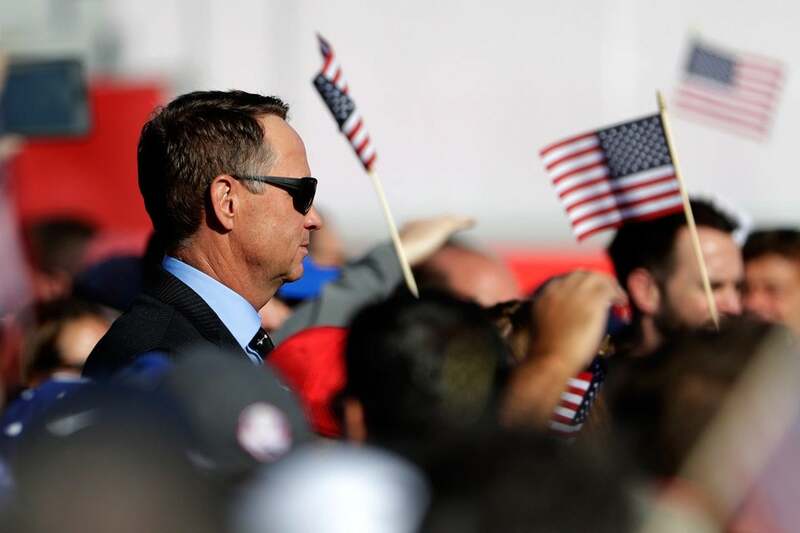 U.S. captain Davis Love III. 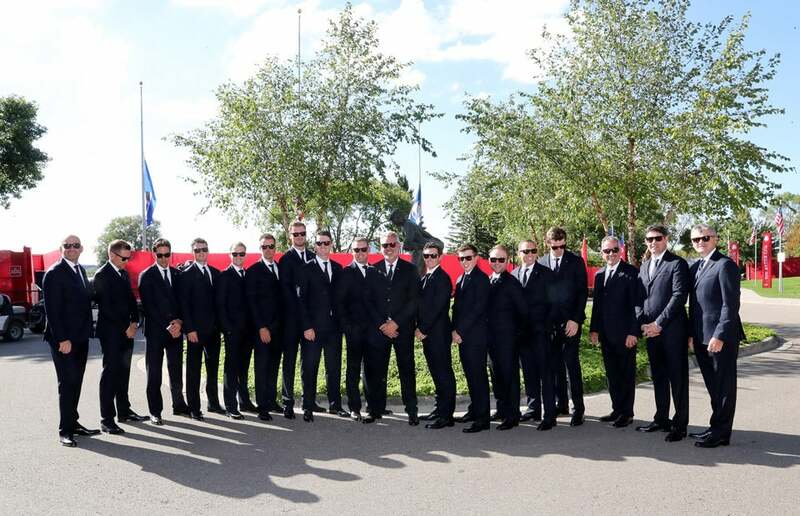 The European team poses for a photo prior to the Opening Ceremony. 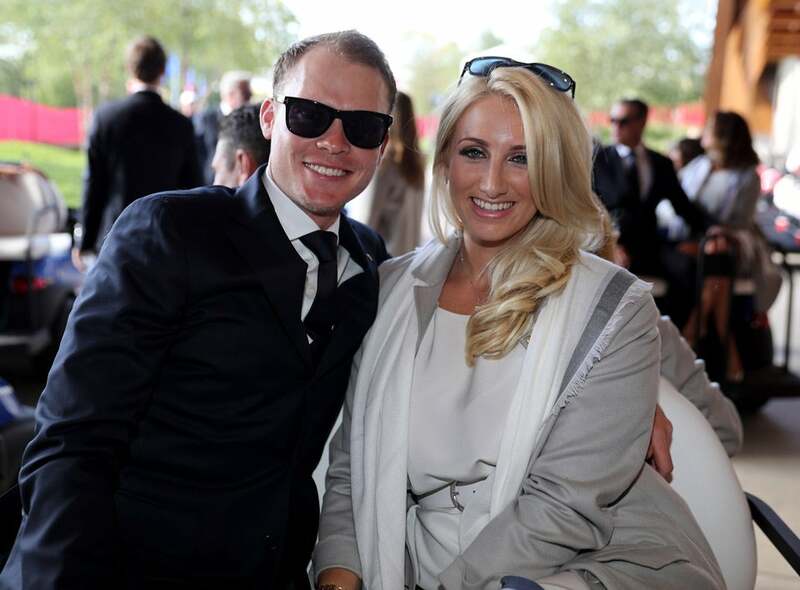 Wives and girlfriends of the European team prior to the Opening Ceremony. 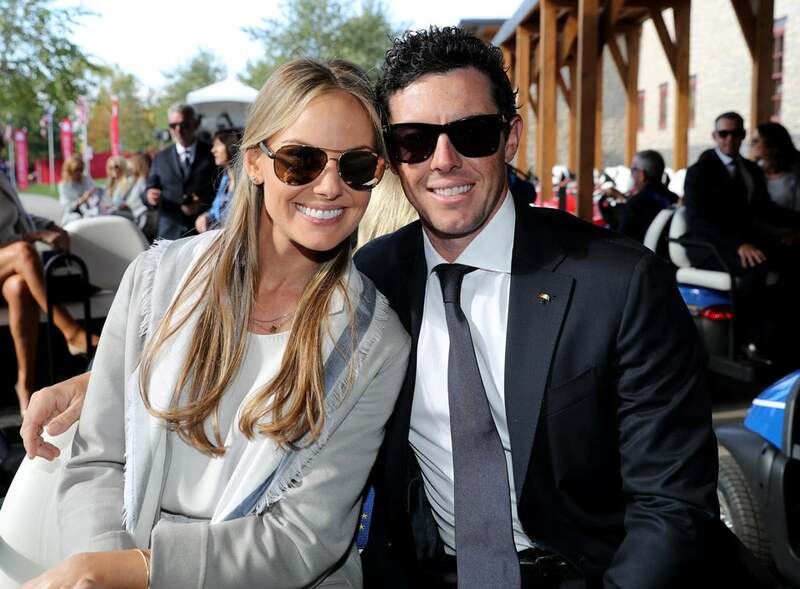 Rory McIlroy and fiancee Erica Stoll. 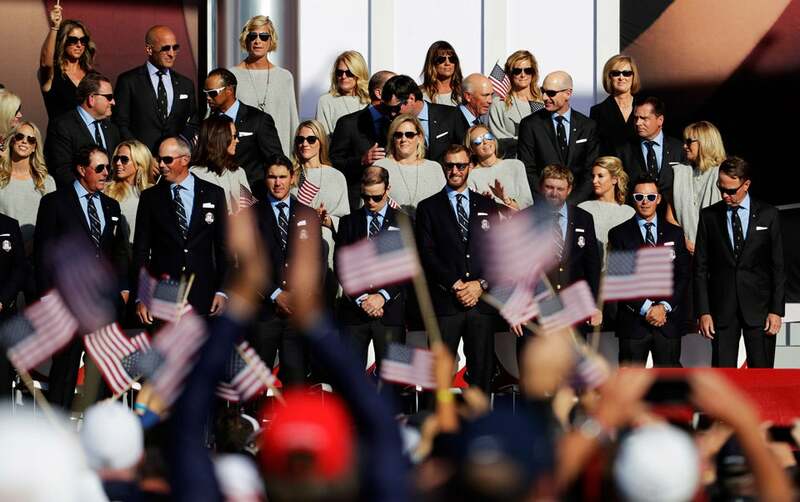 The U.S. team on stage during the Opening Ceremony. 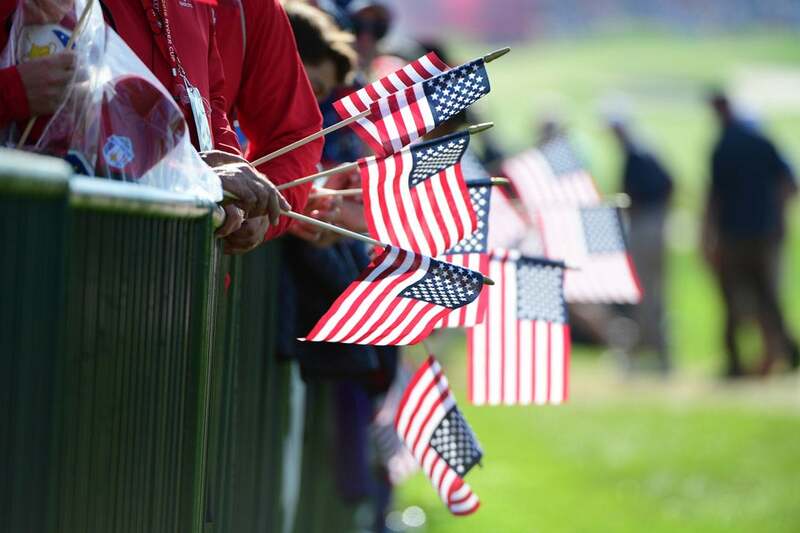 A closer look at the American side. 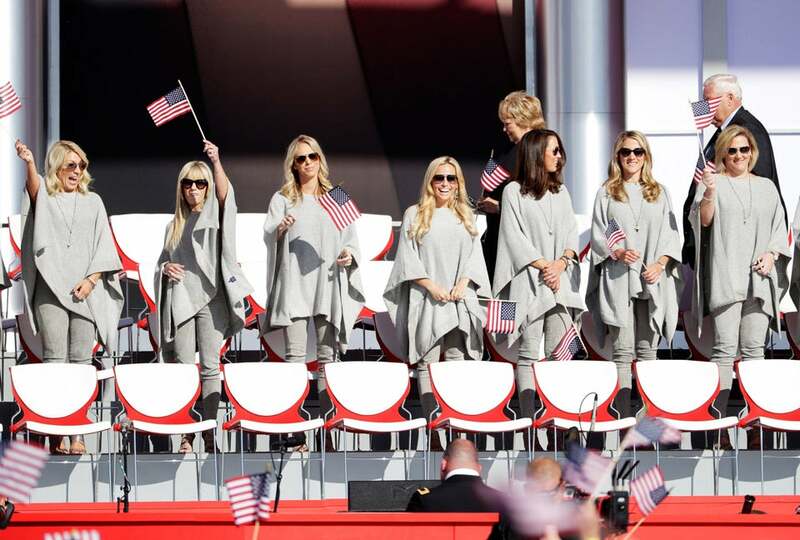 Wives and girlfriends of the American team. 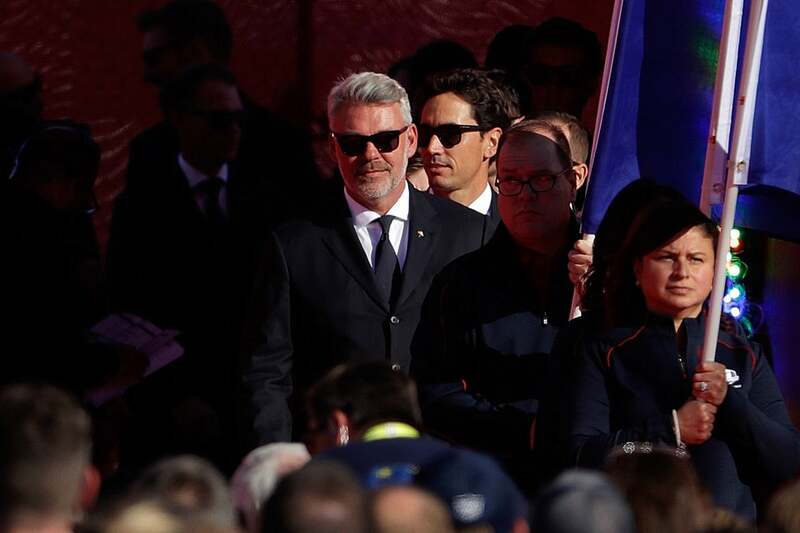 The European team during the ceremony. 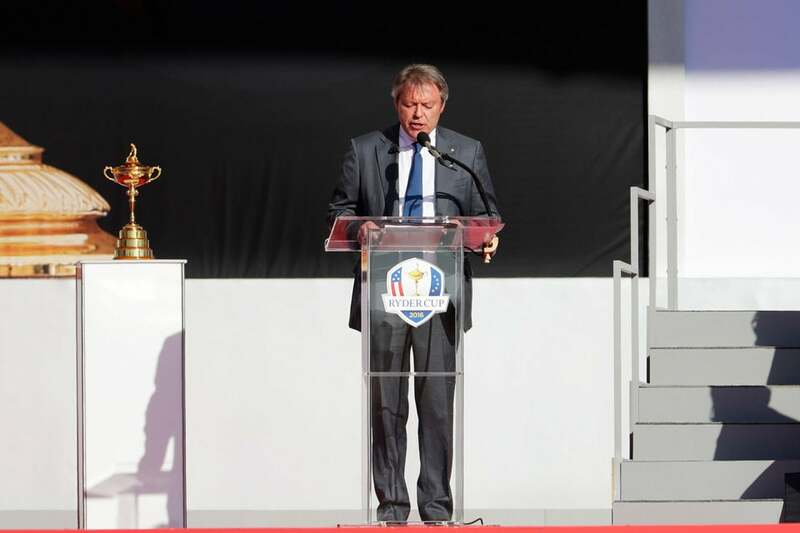 PGA chairman David Murchie gives his remarks. 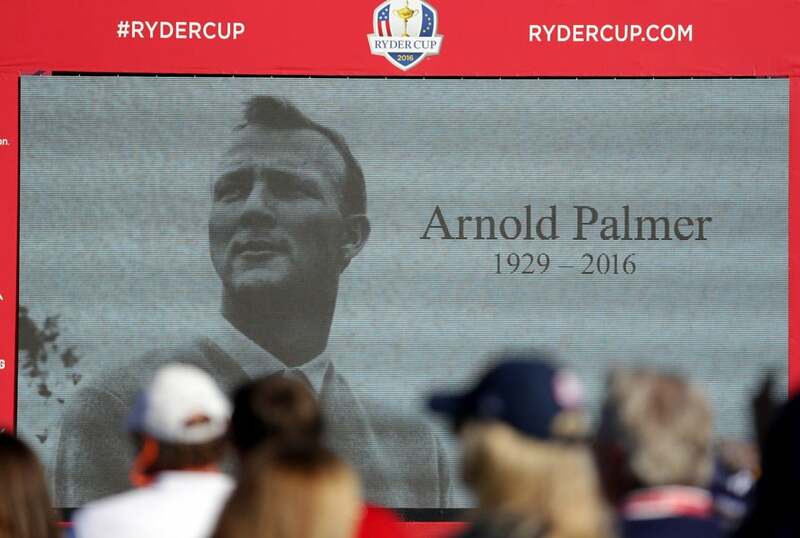 A tribute to Arnold Palmer on the screen during the Opening Ceremony. 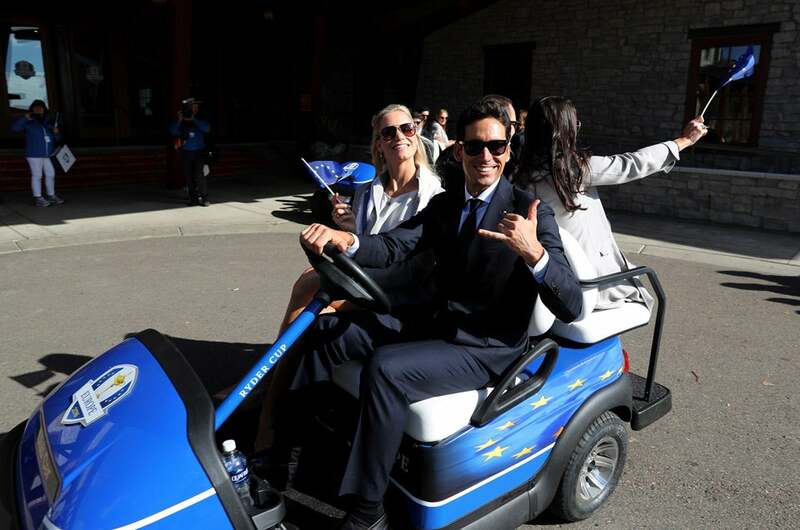 Rafa Cabrera-Bello and Sofia Lundstedt. 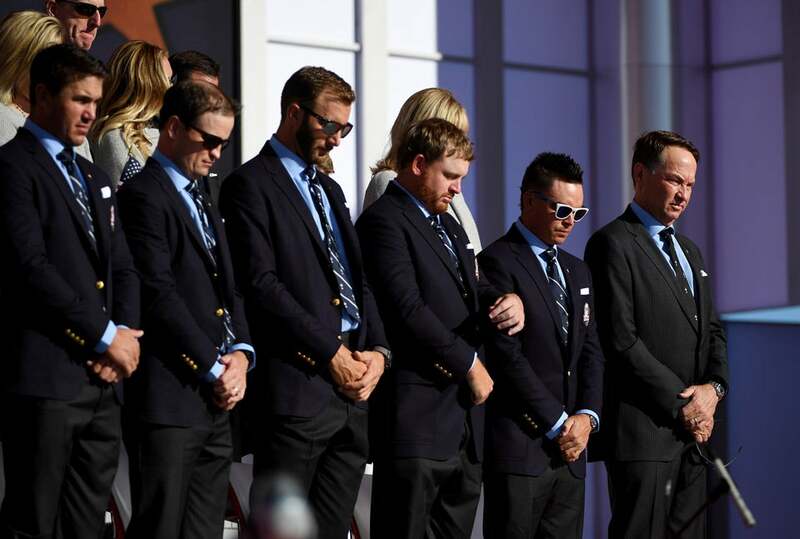 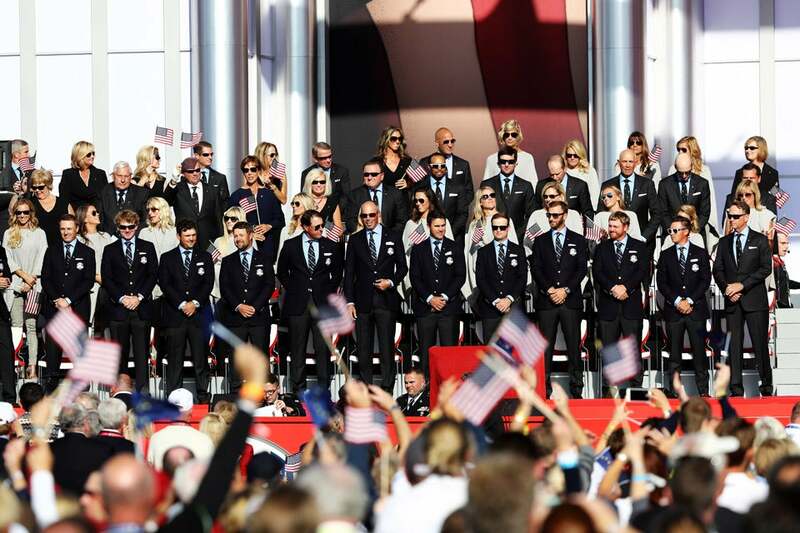 Members of the American team bow their heads during the Opening Ceremony.